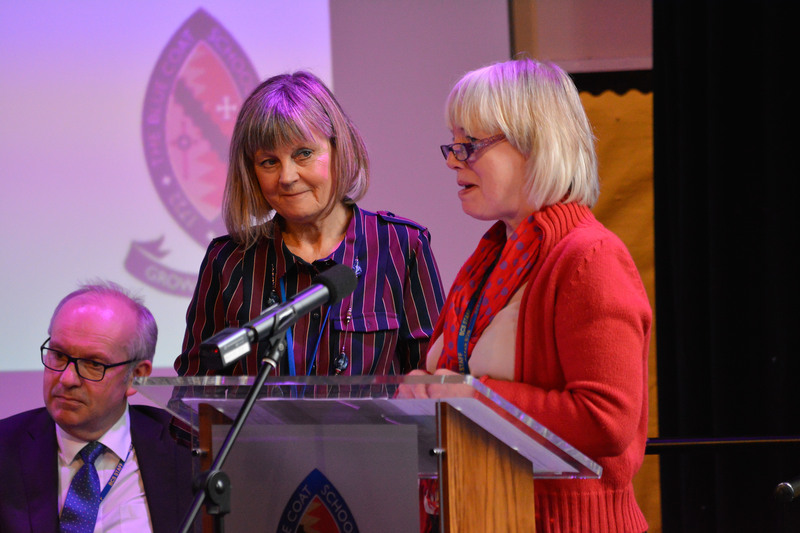 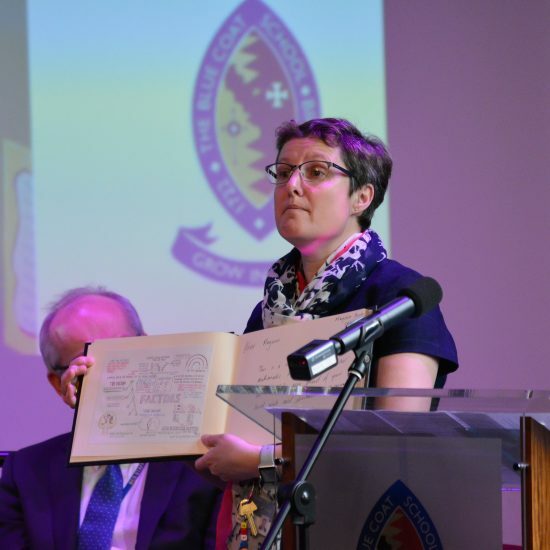 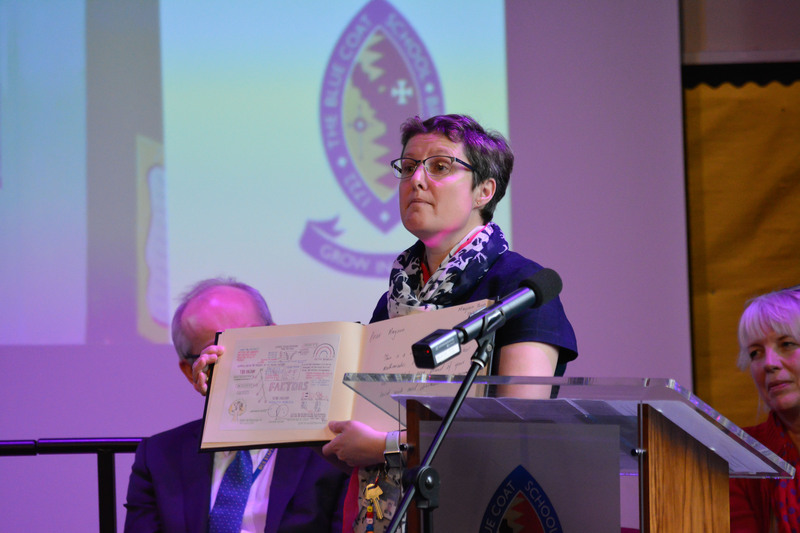 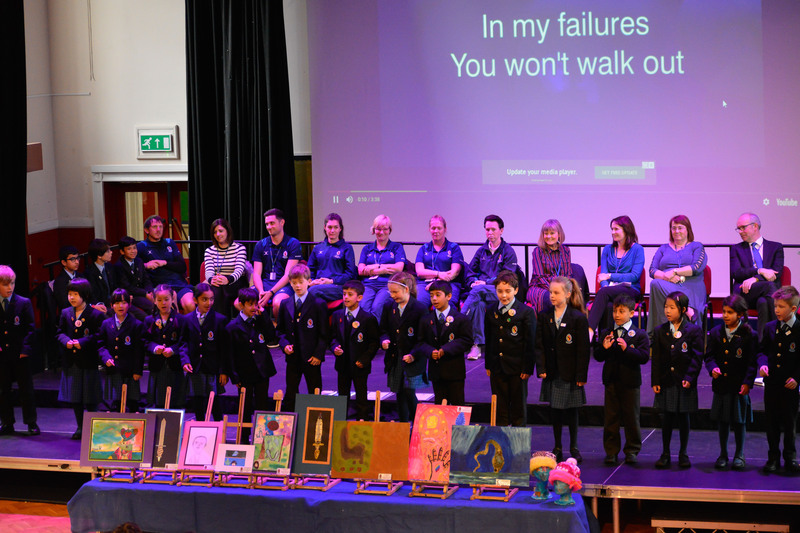 The term ended with a wonderful celebration of all the things that make life at The Blue Coat School such a fulfilling experience. 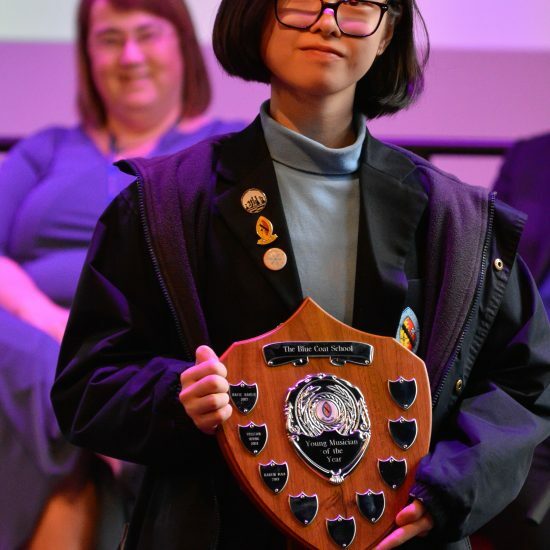 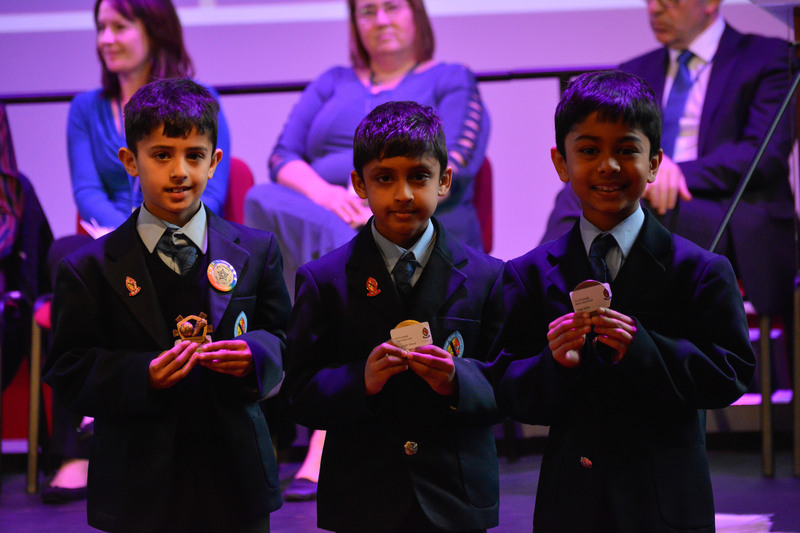 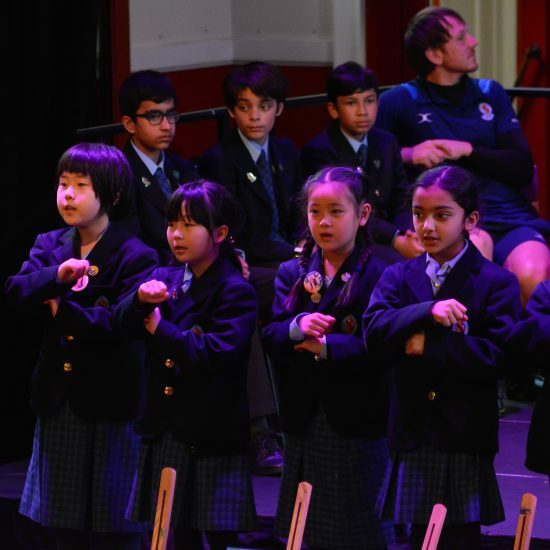 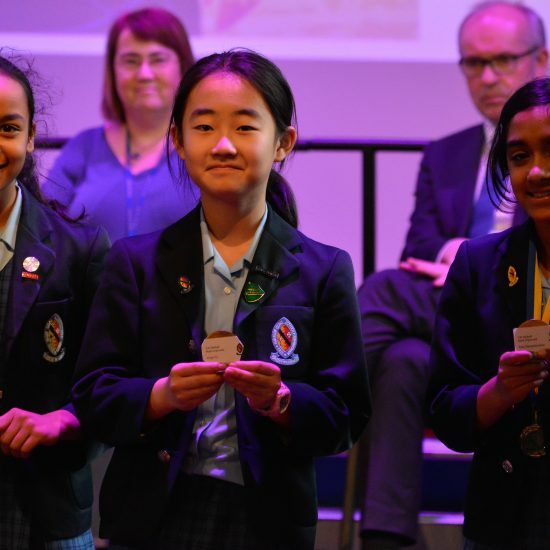 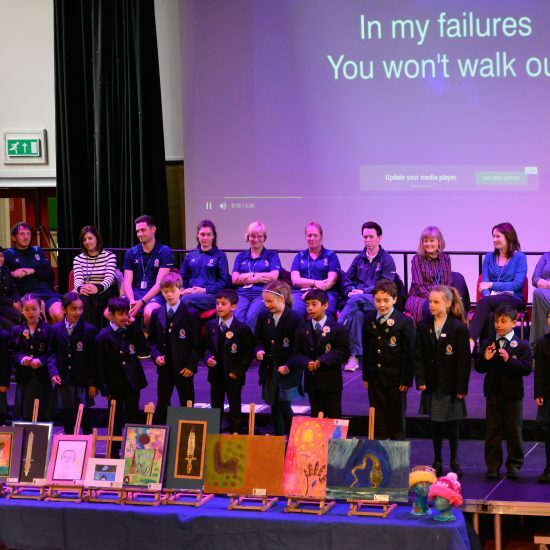 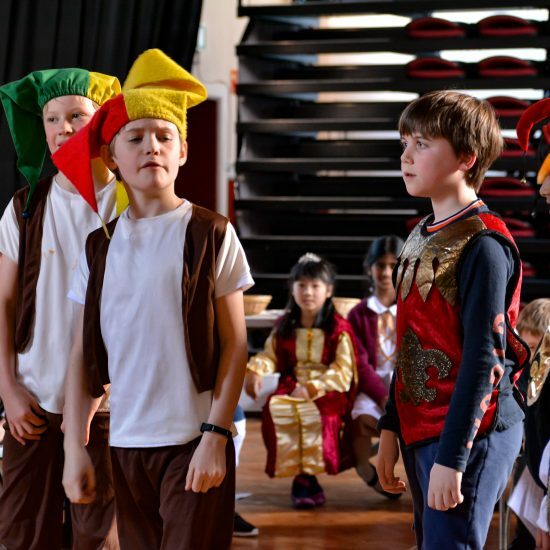 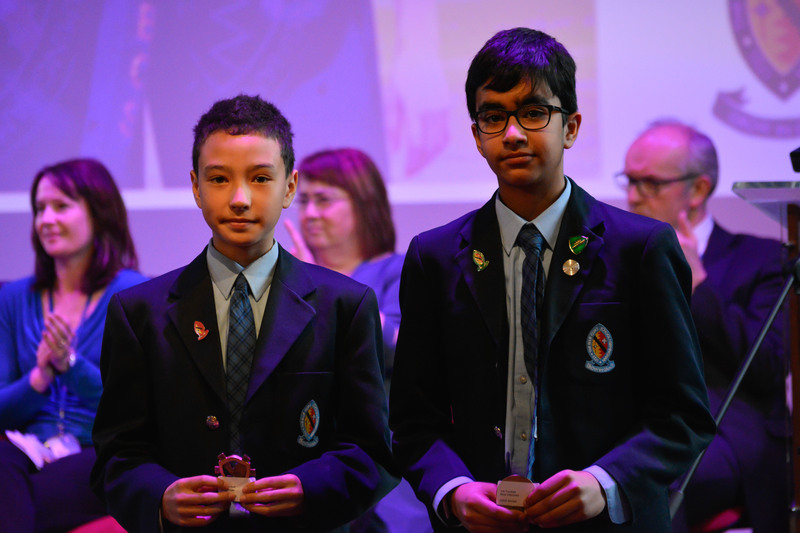 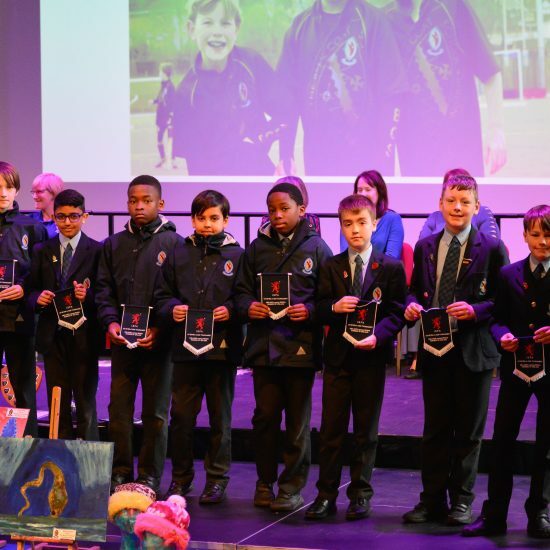 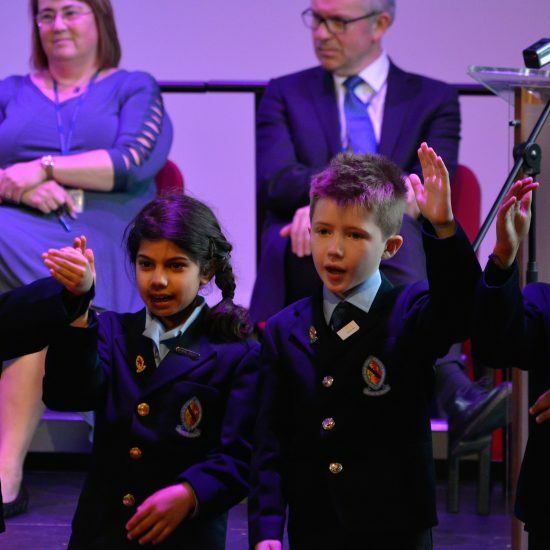 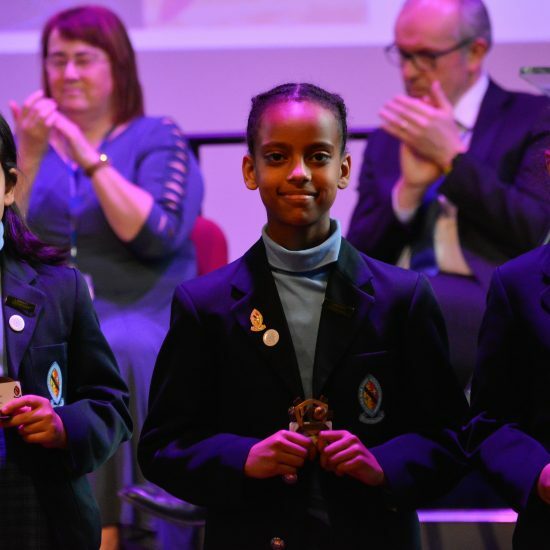 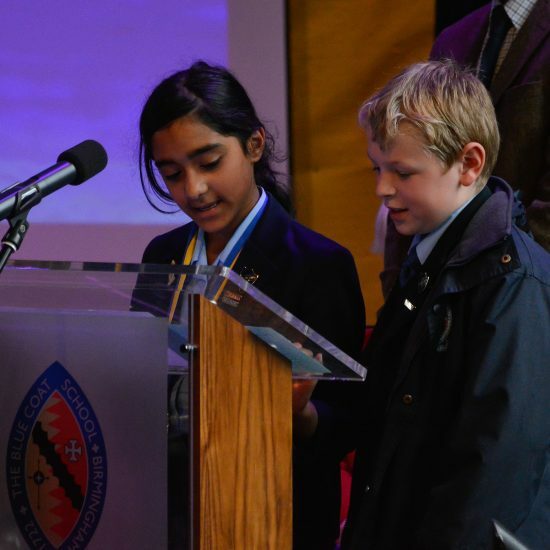 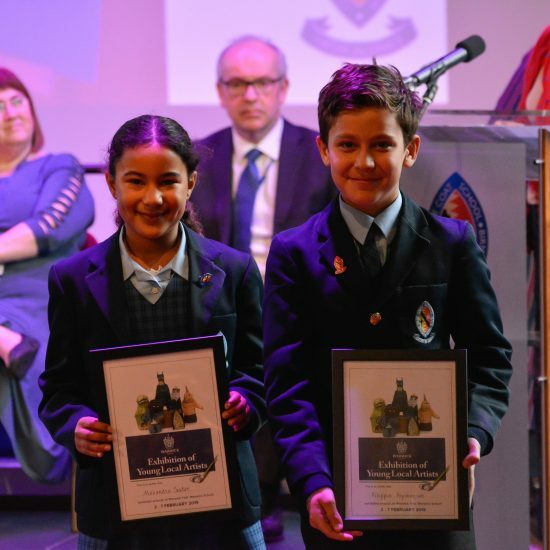 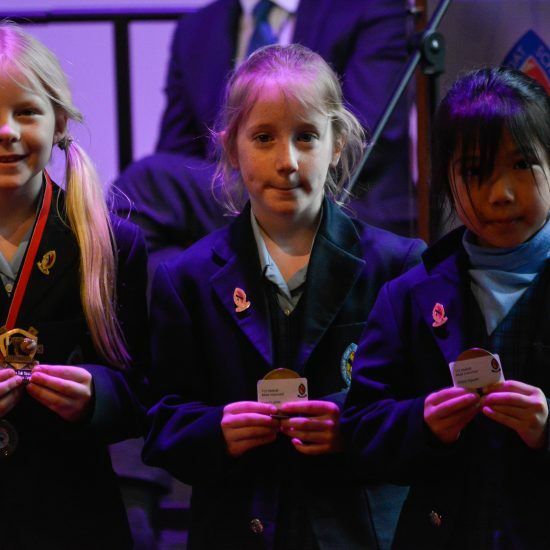 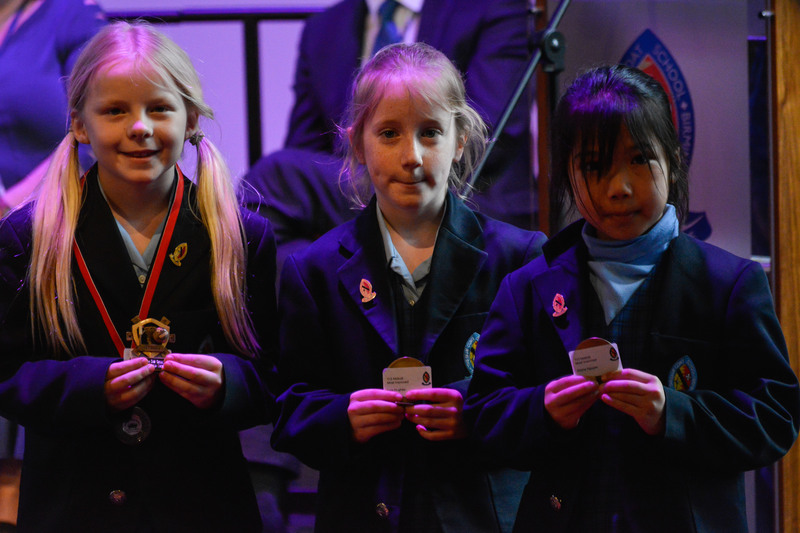 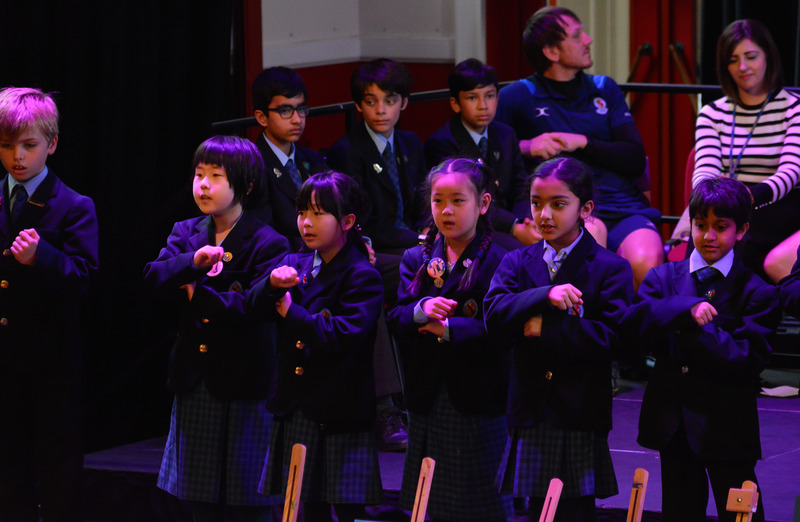 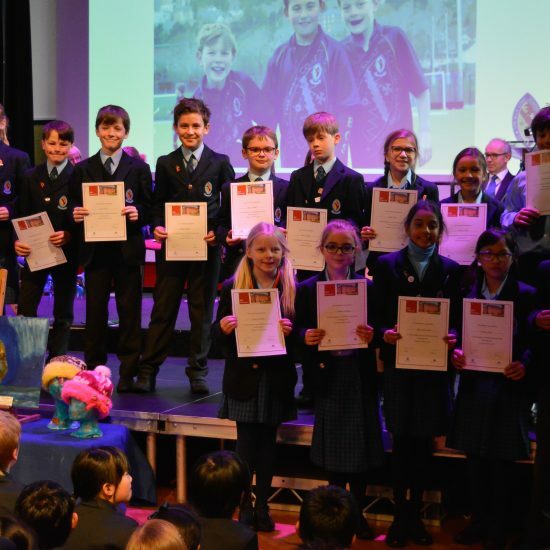 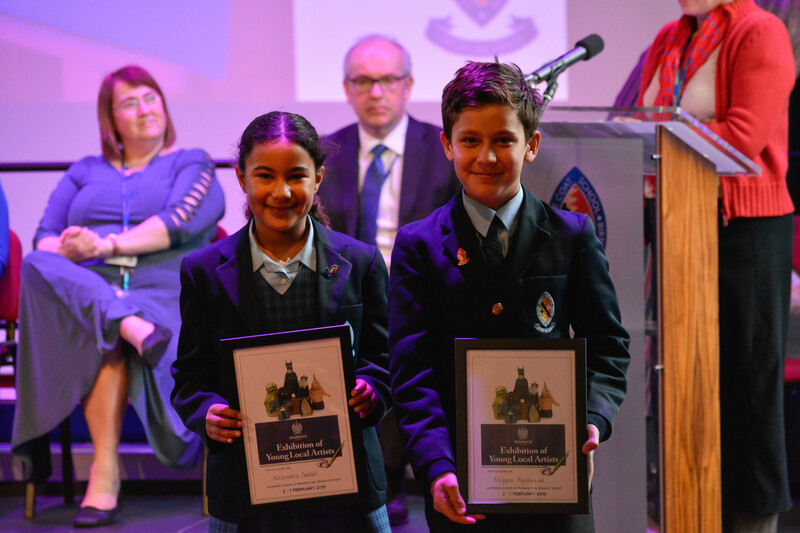 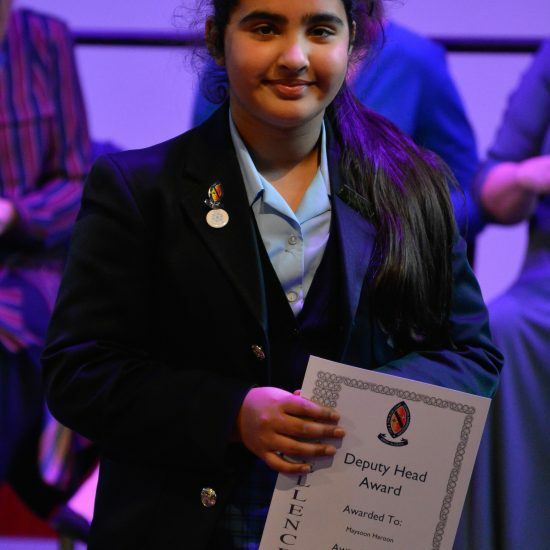 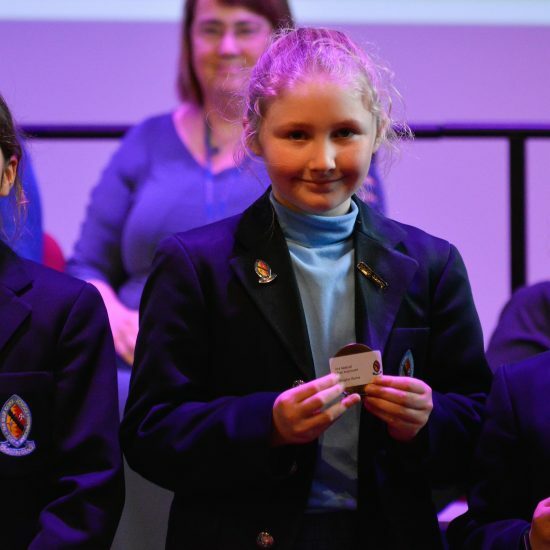 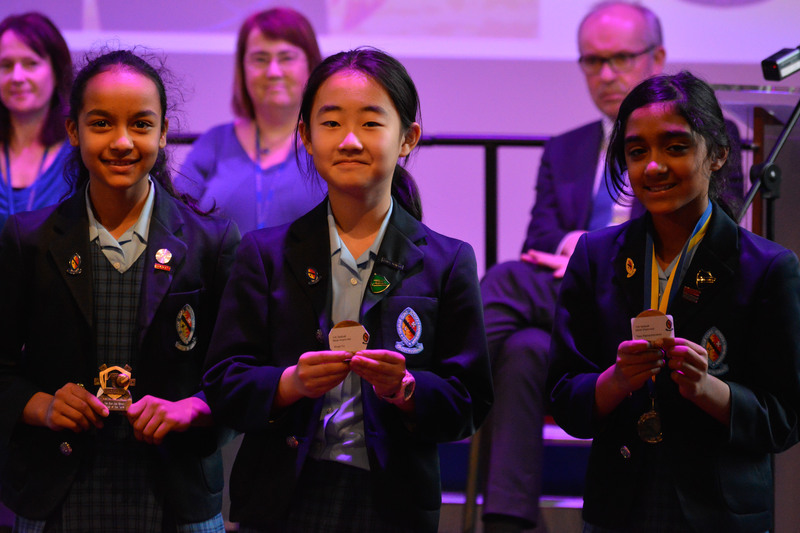 From World Book Day to the Creative Arts, from the sports field to the concert hall we recognised the many children that have made a contribution to School life and displayed their Blue Coat Values throughout. 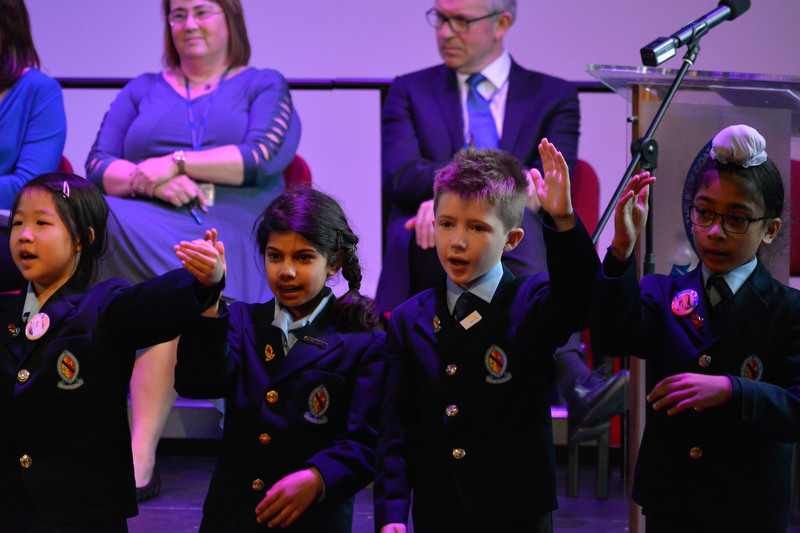 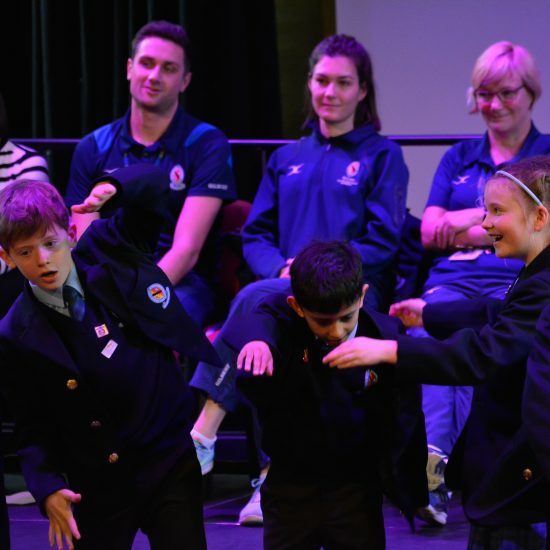 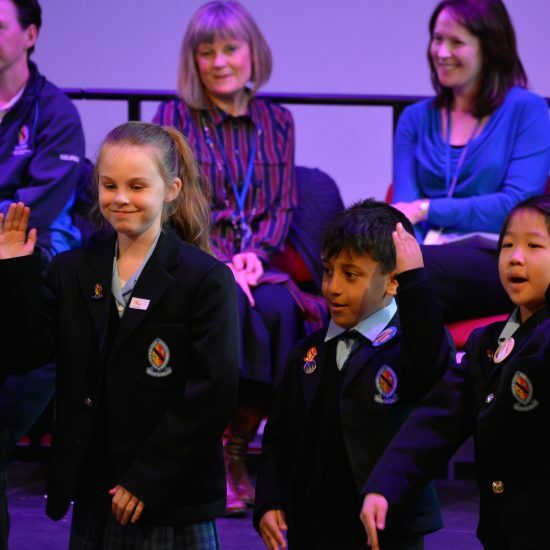 Of course, our Prep Year Group Assemblies have already been a place to celebrate success on a weekly basis but in gathering together the whole of Prep on Tuesday morning, it was a chance for us all to look back at some of the Lent Term highlights. 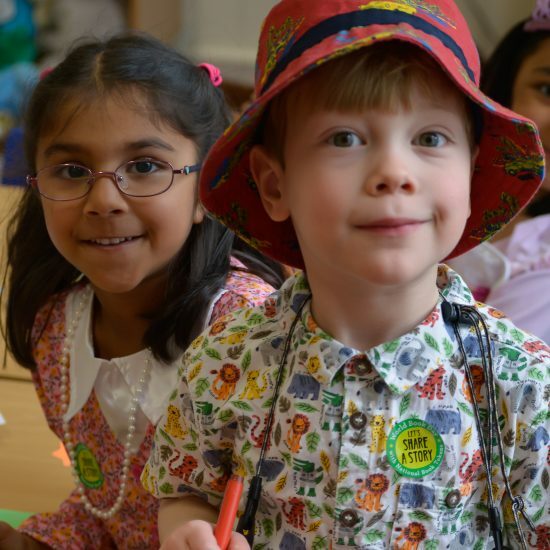 Firstly, we remembered the wonderful costumes and celebration of reading on World Book Day. 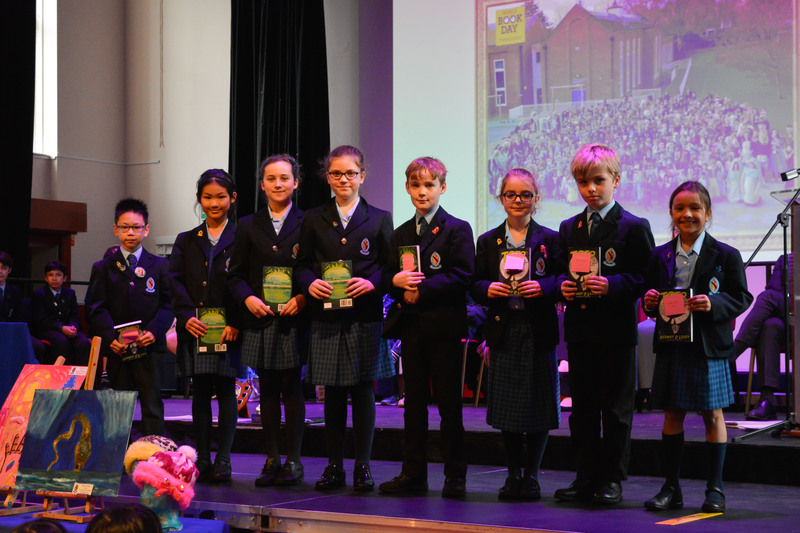 Mrs Ayub awarded prizes to children in years 3 to 6 who were our WBD quiz winners. 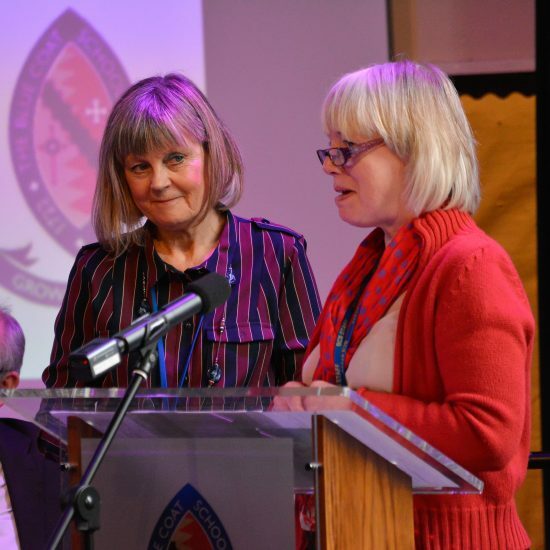 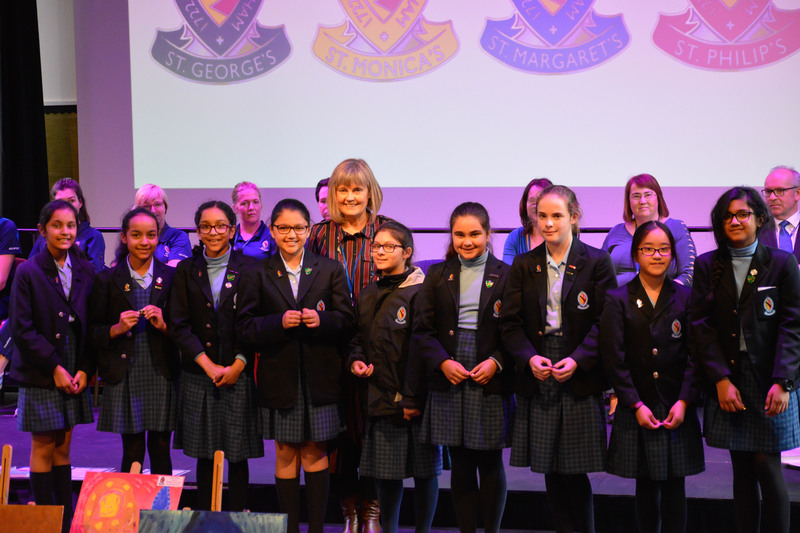 We thanked Mrs Jennings for her great role in this special day and also for leading the brilliant Lower School Production, What a Knight!. 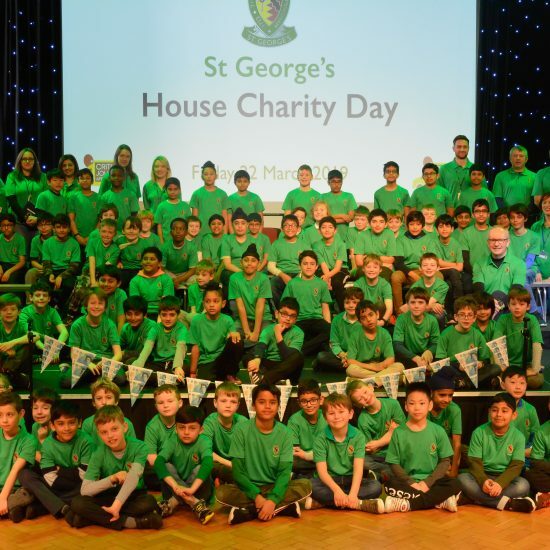 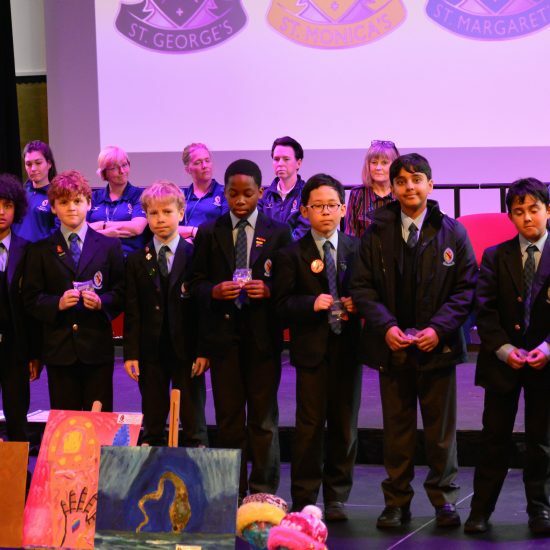 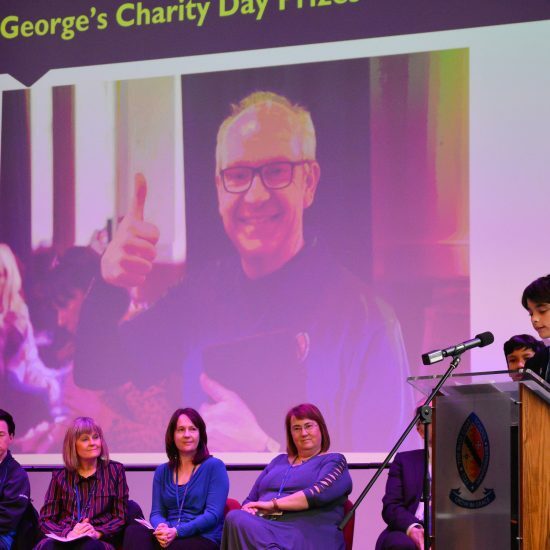 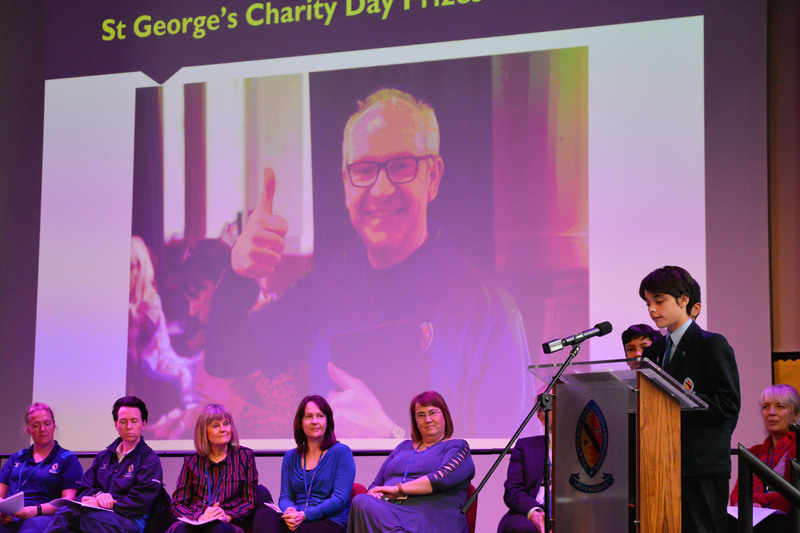 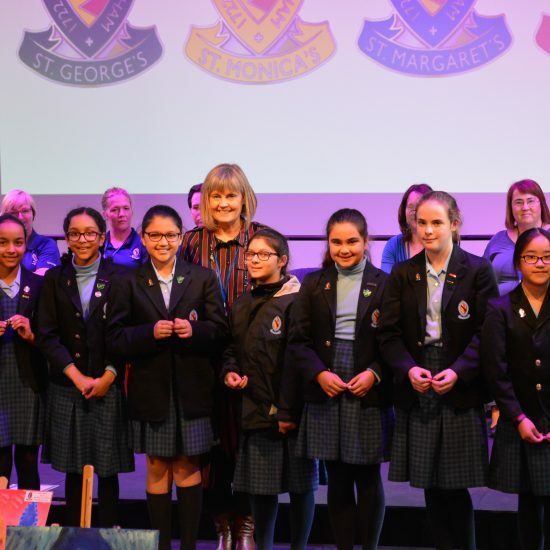 Mr Hill and his house officers took to the stage to thank everyone for their support of the St. George’s House Charity day in aid of the Birmingham Children’s Hospital Critical Journeys Appeal. 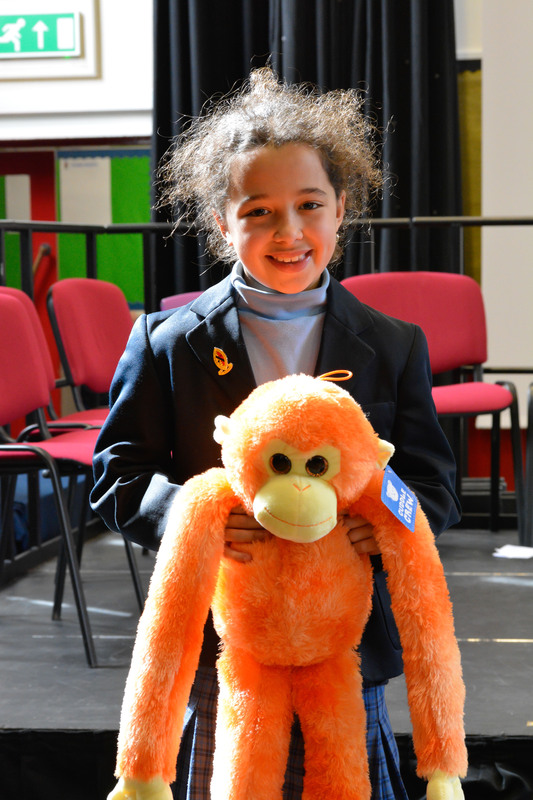 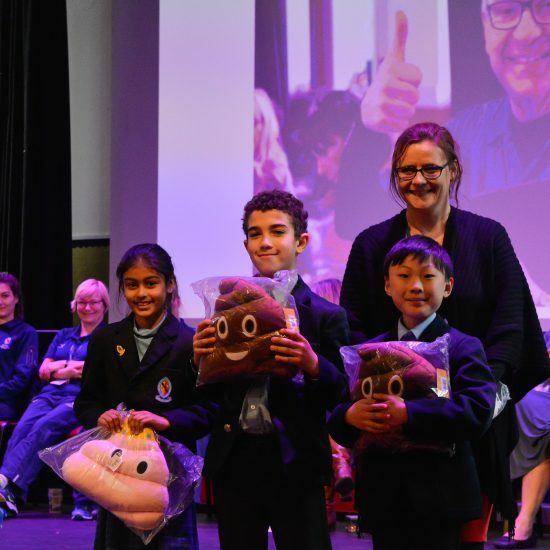 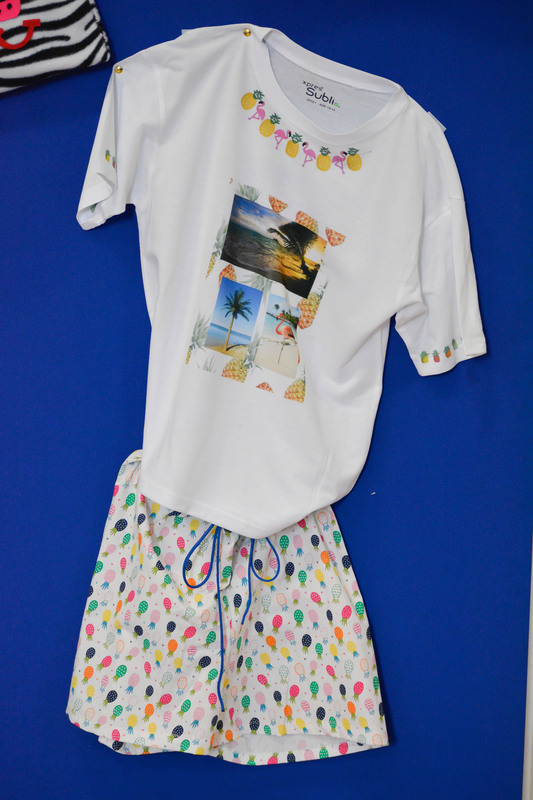 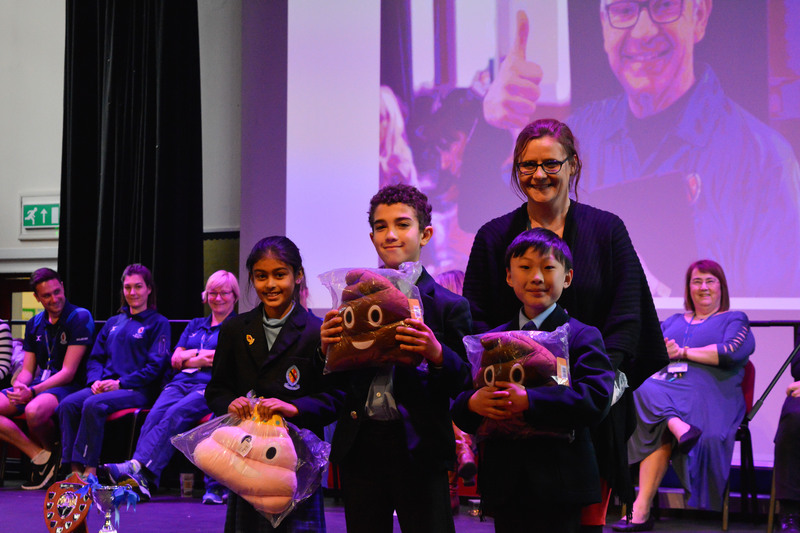 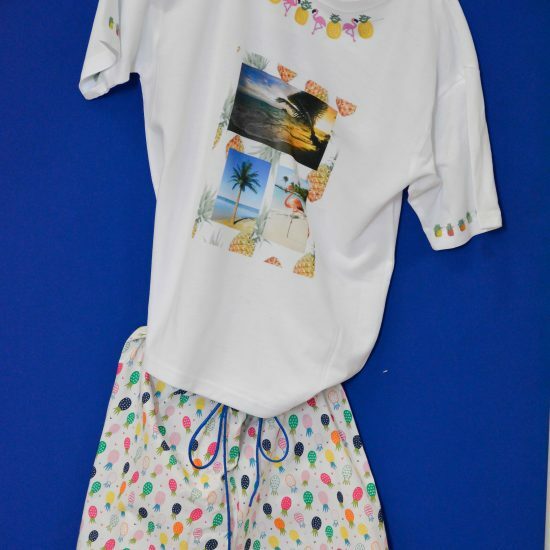 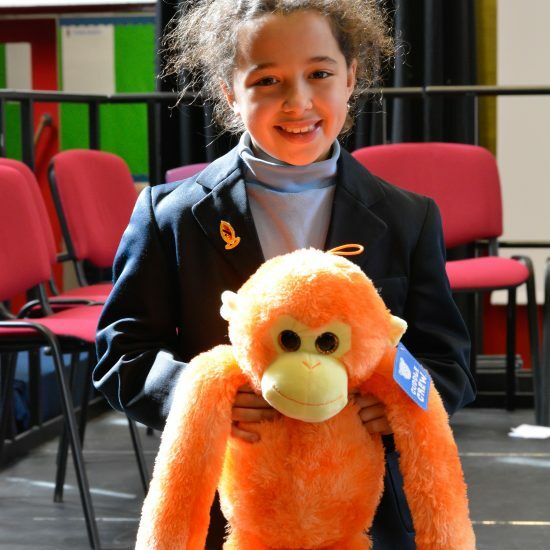 Prizes were awarded which from the pictures you will see were slightly unexpected for an awards assembly – the name ‘drawn’ for the monkey was Geoff and emoji cushions were awarded to the ‘Nappy Ninjas’ for their quick draw nappy changing (Mrs Walker included)! 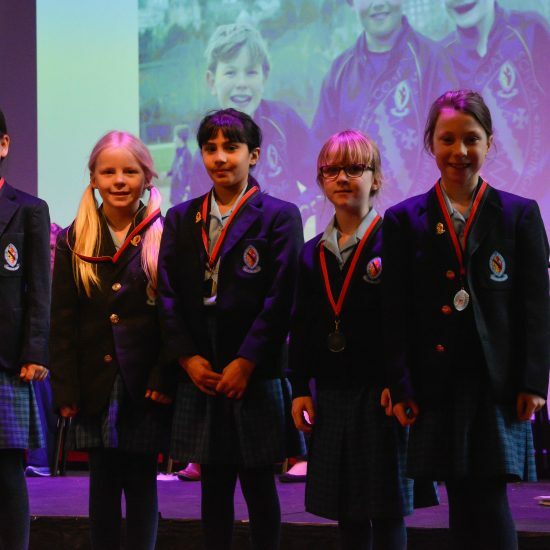 A special mention to St. Philip’s who are also to be congratulated for their fundraising in aid of Zoe’s Place in the first half of term. 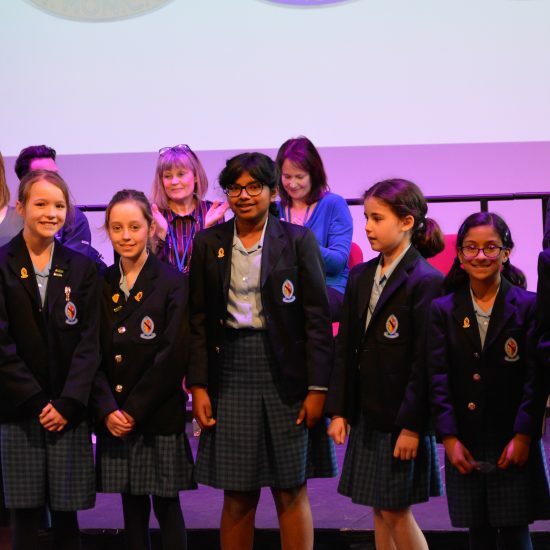 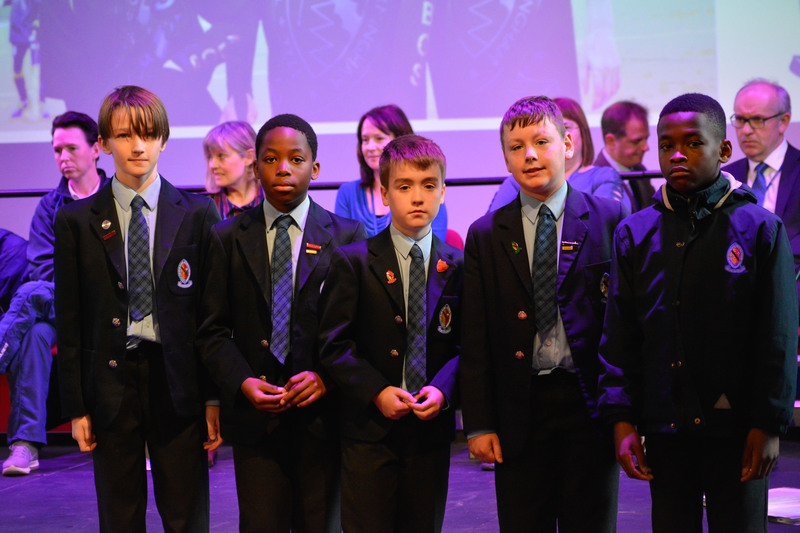 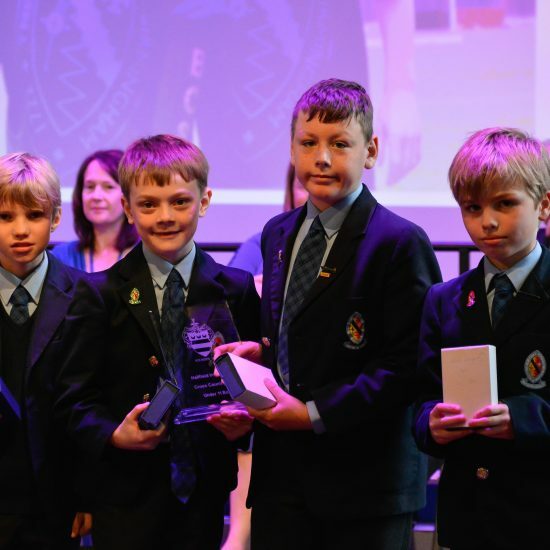 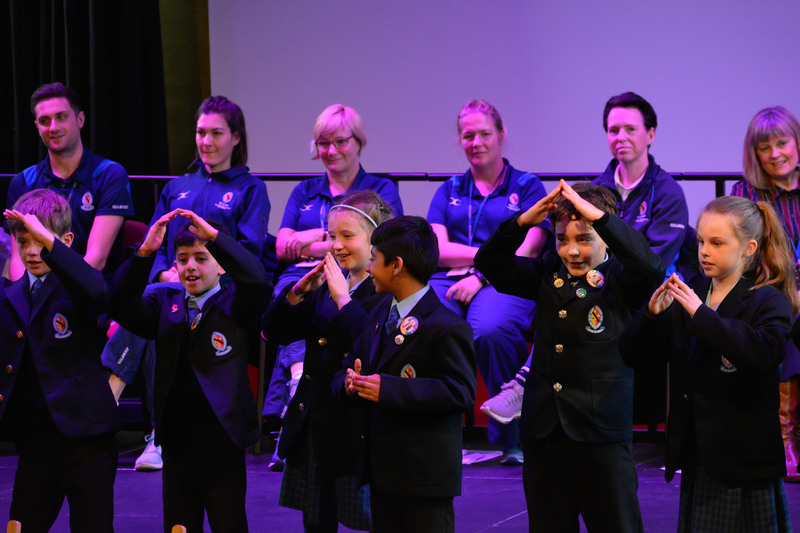 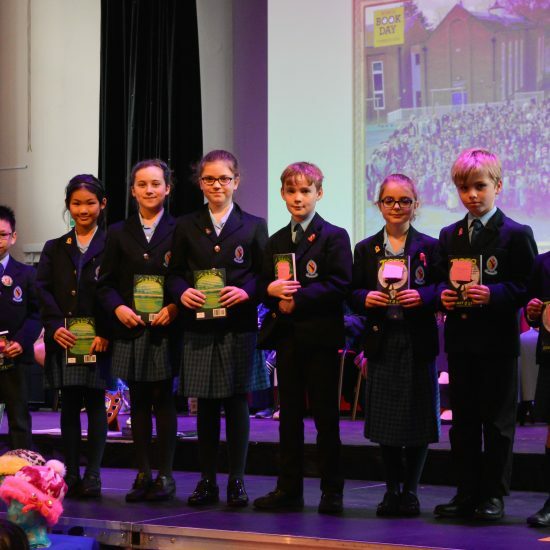 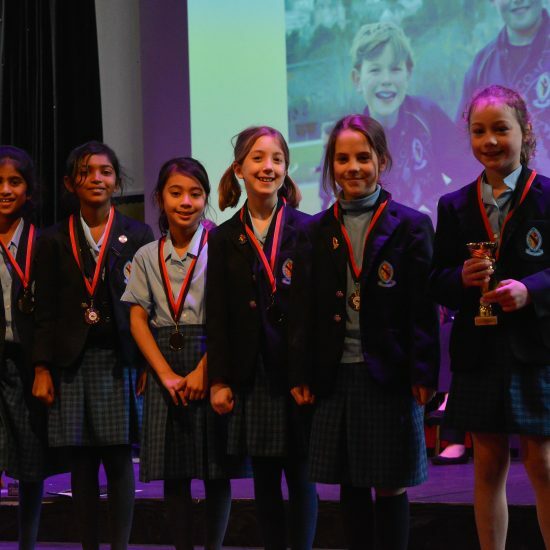 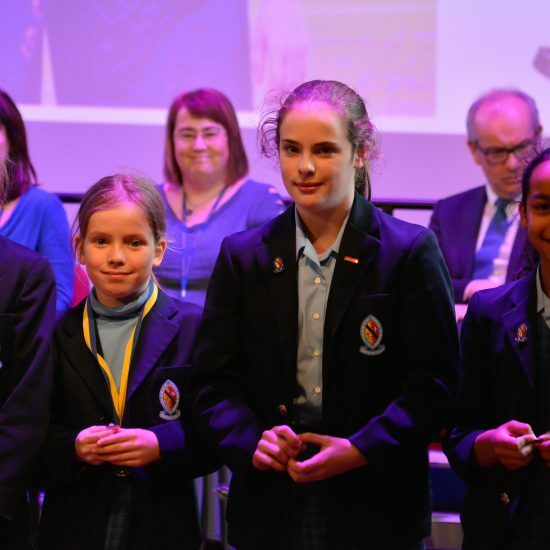 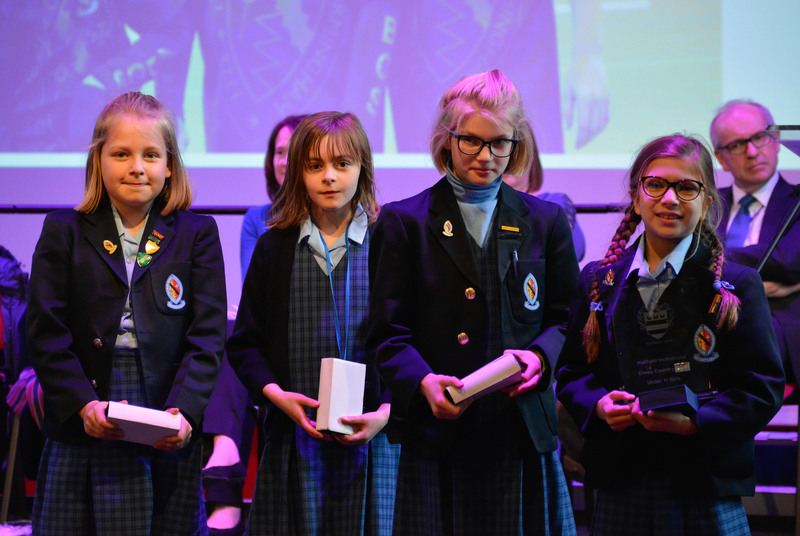 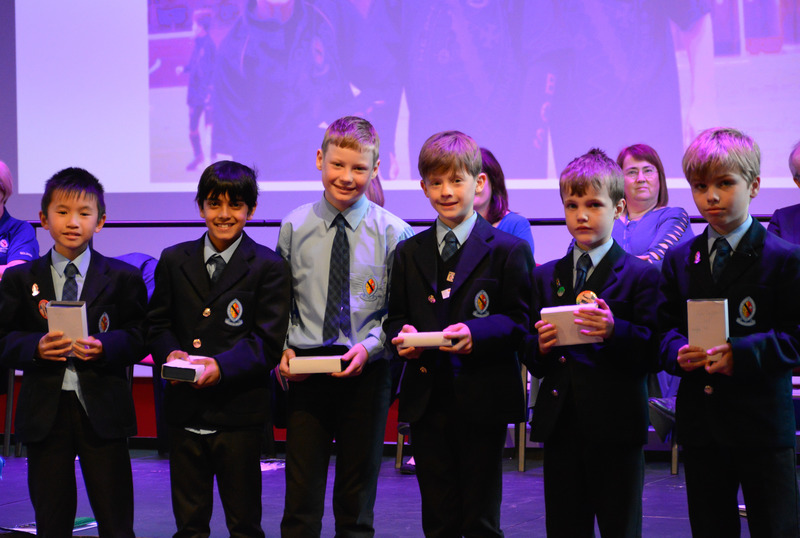 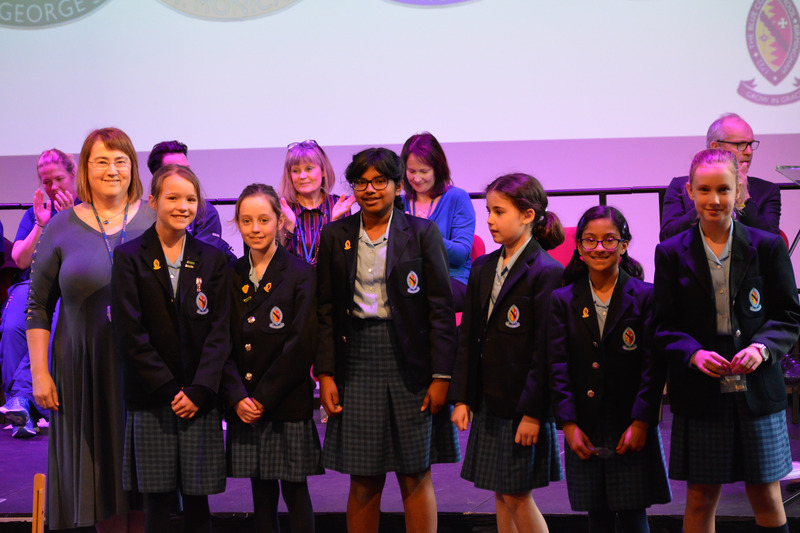 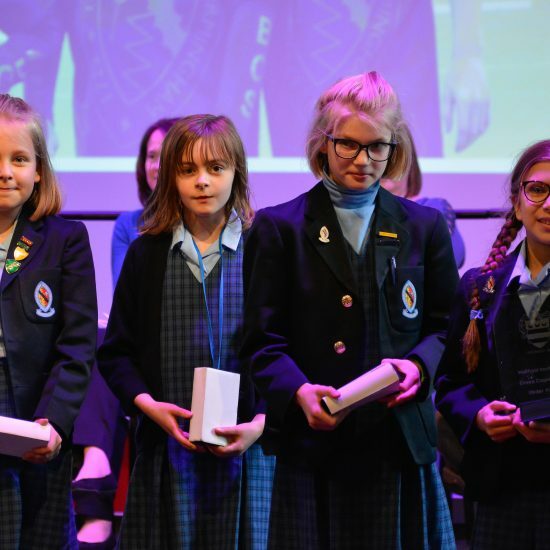 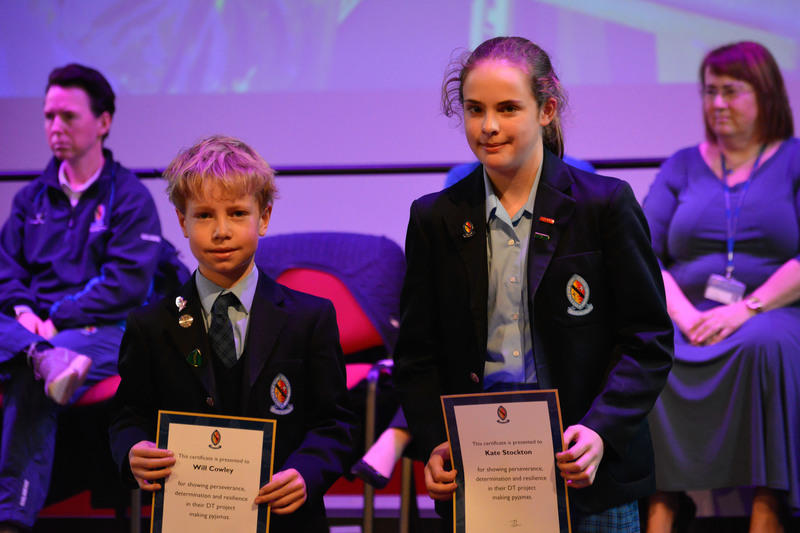 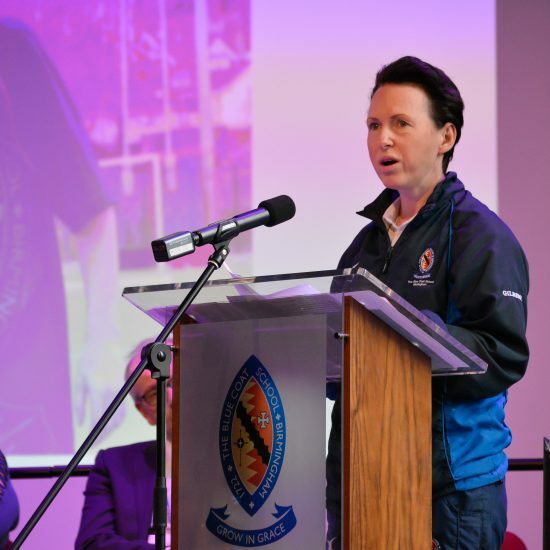 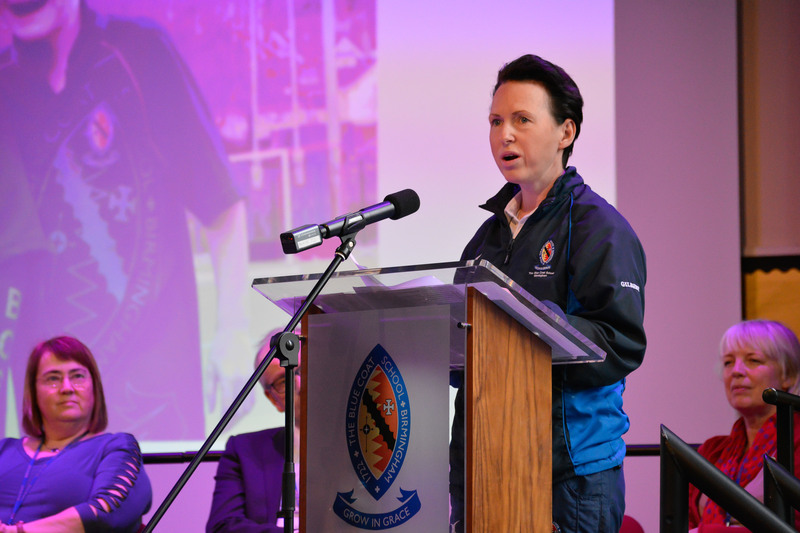 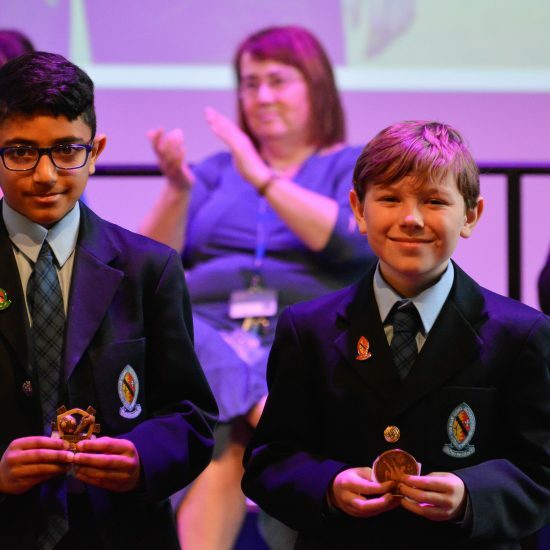 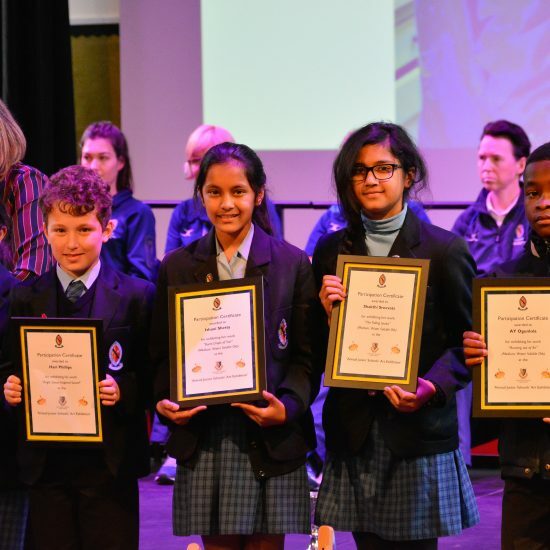 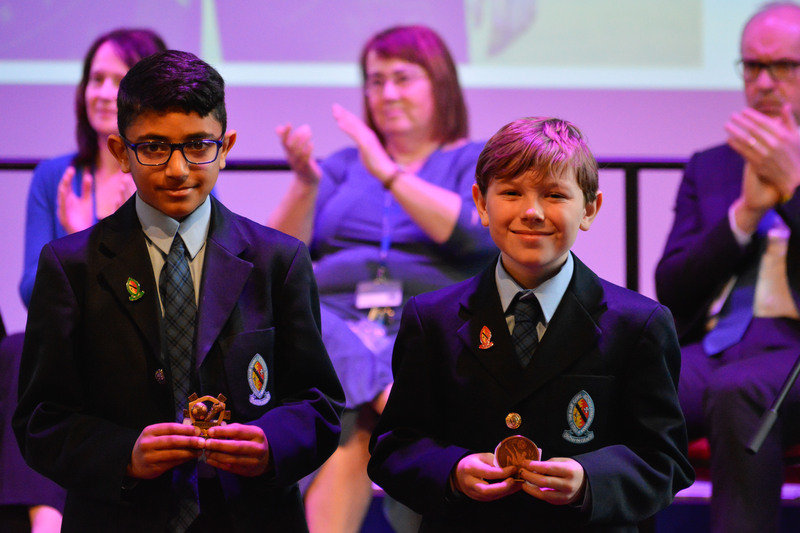 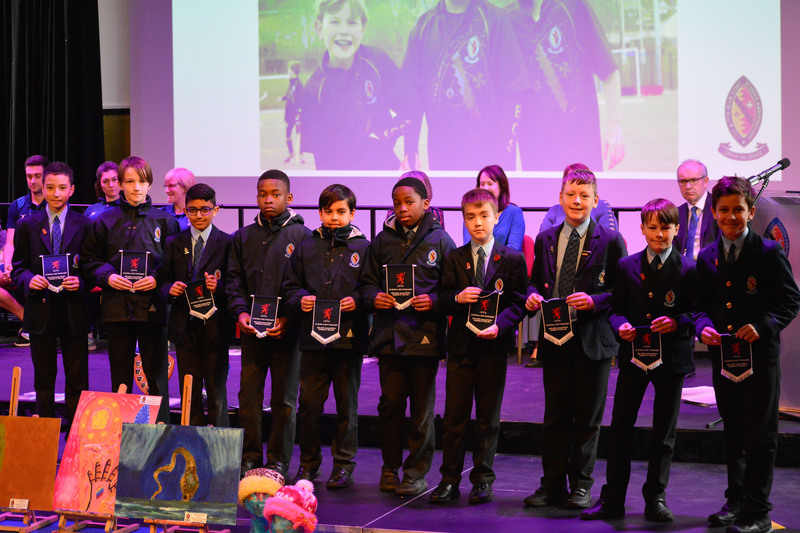 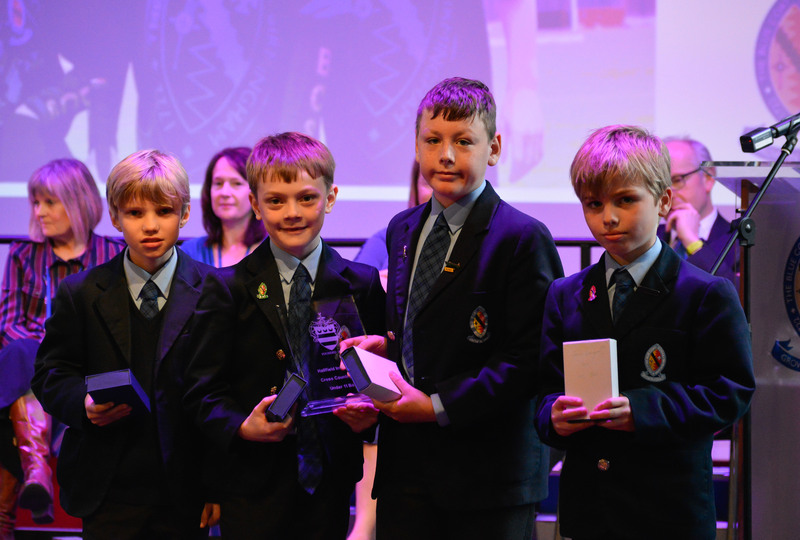 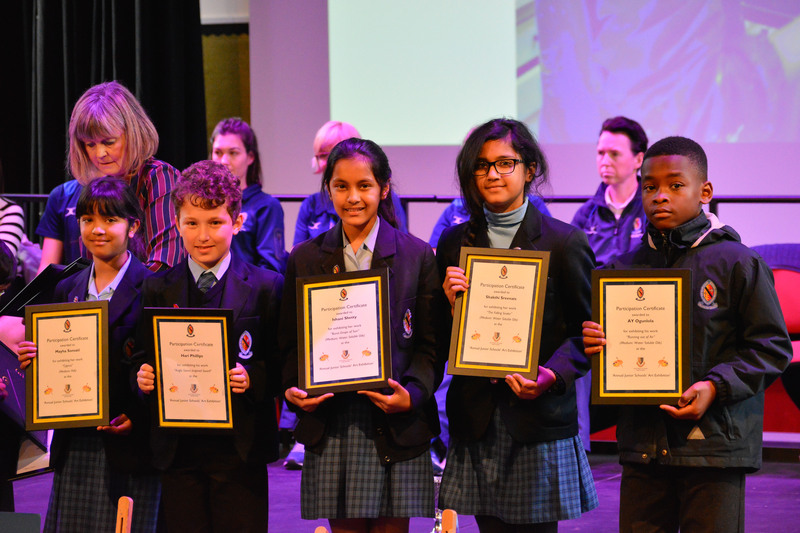 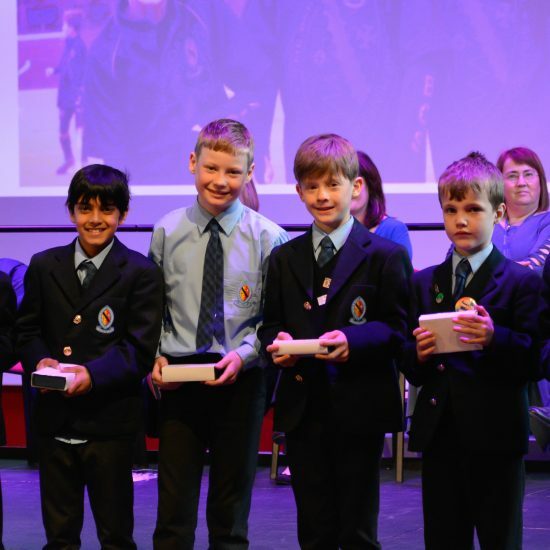 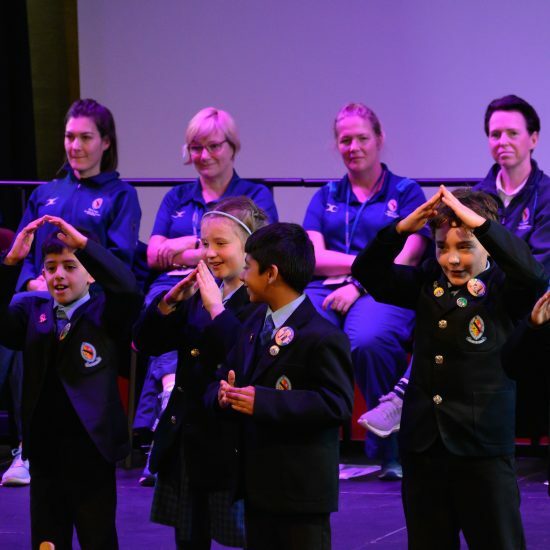 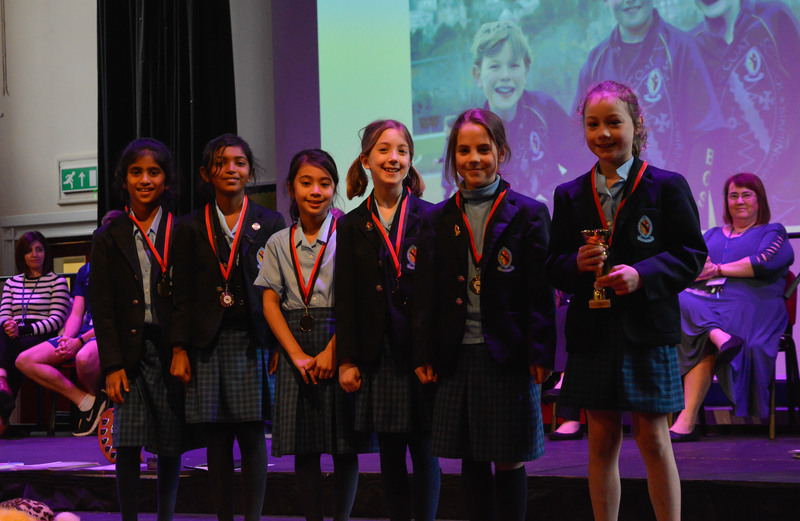 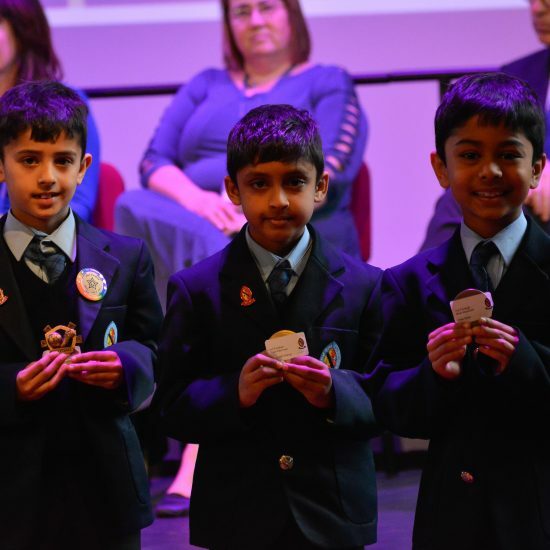 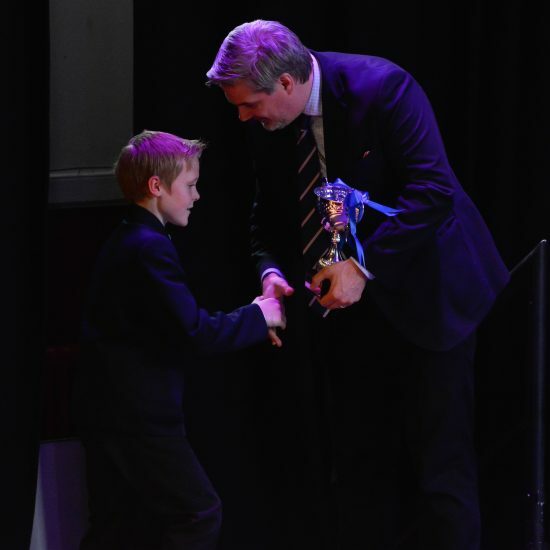 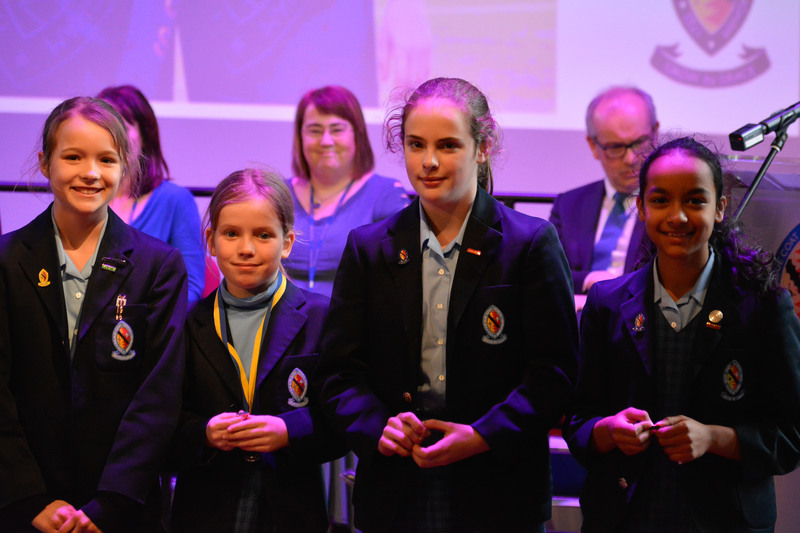 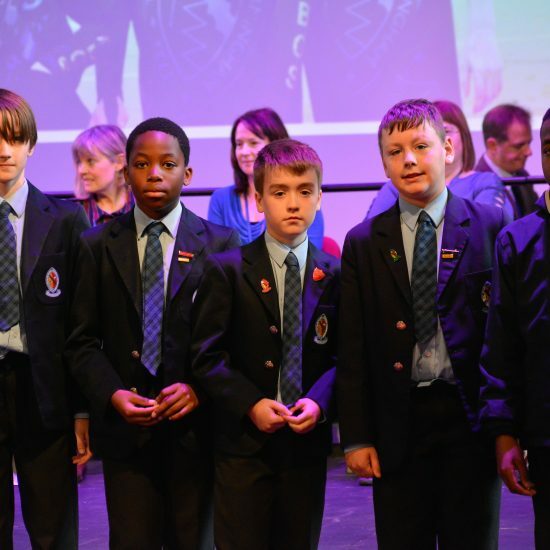 As the Sports Awards were presented by Mrs Bennett and her team, it was evident just how many children have the opportunity to represent the School in a BCS team, achieving great results. 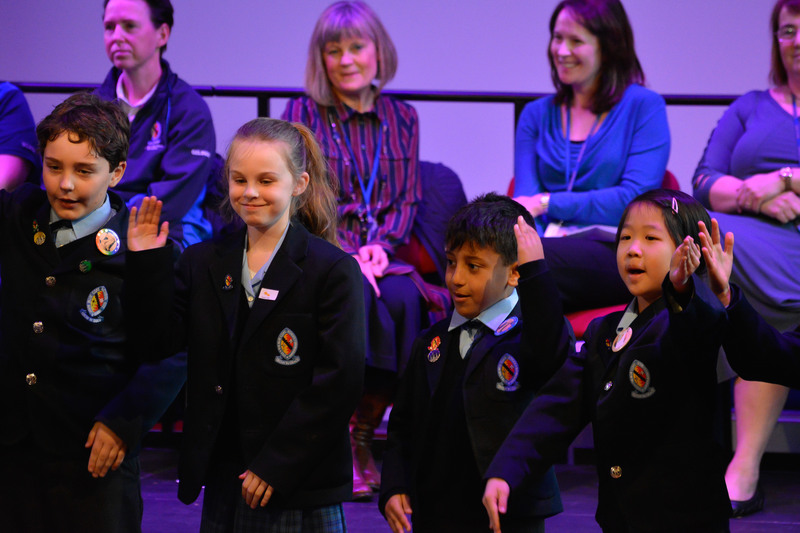 There were cheers of elation as the House results were announced. 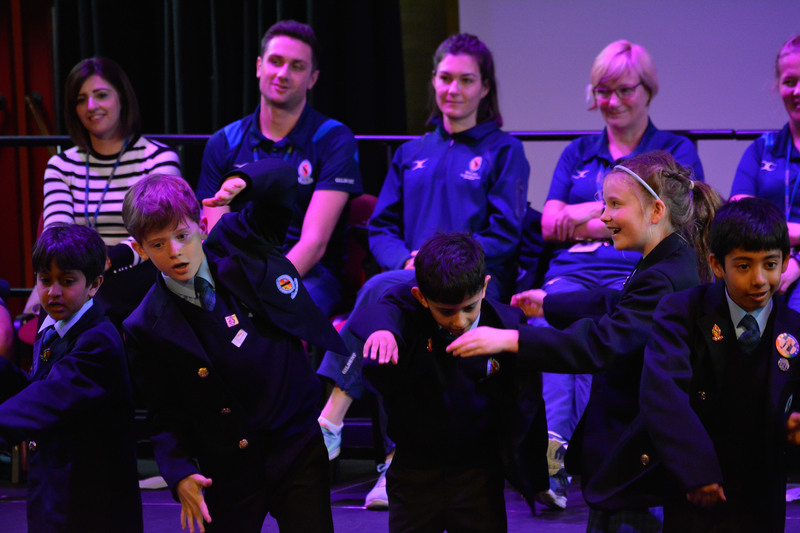 Some close encounters meant that the win could have gone either way and there is all to play for as we head into the Trinity Term. 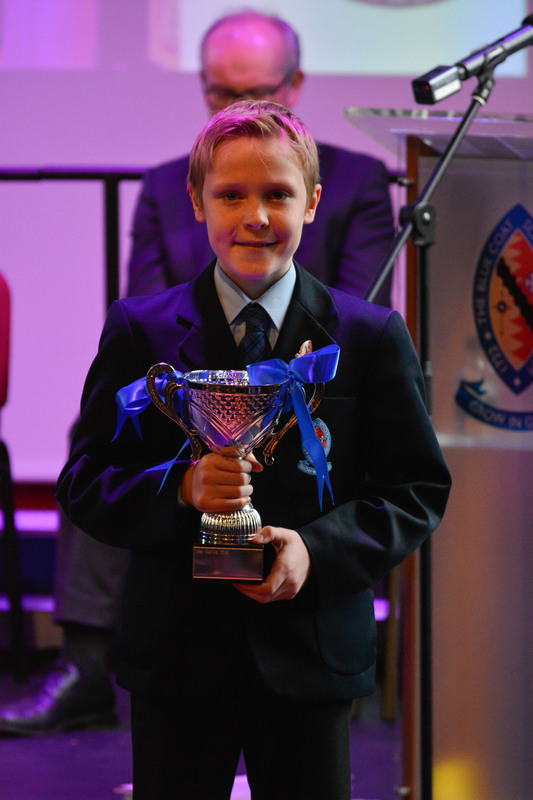 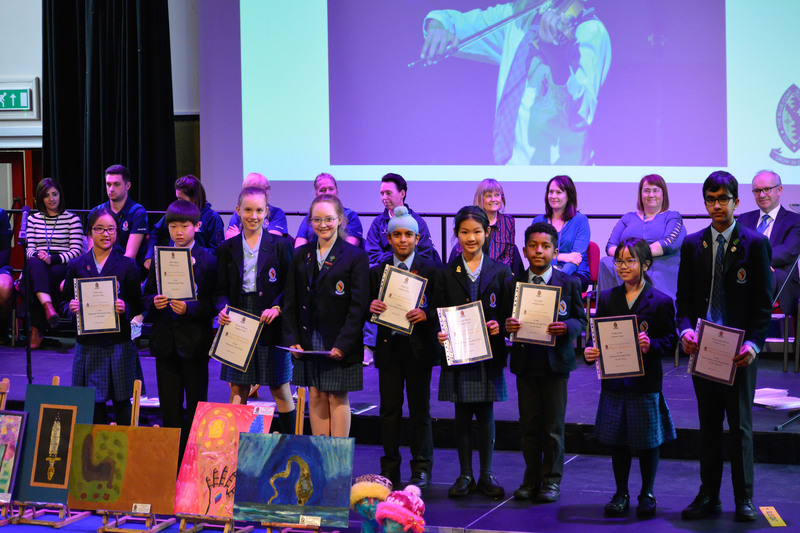 150 children were upstanding as we applauded those who had taken part in this year’s Young Musician of the Year. 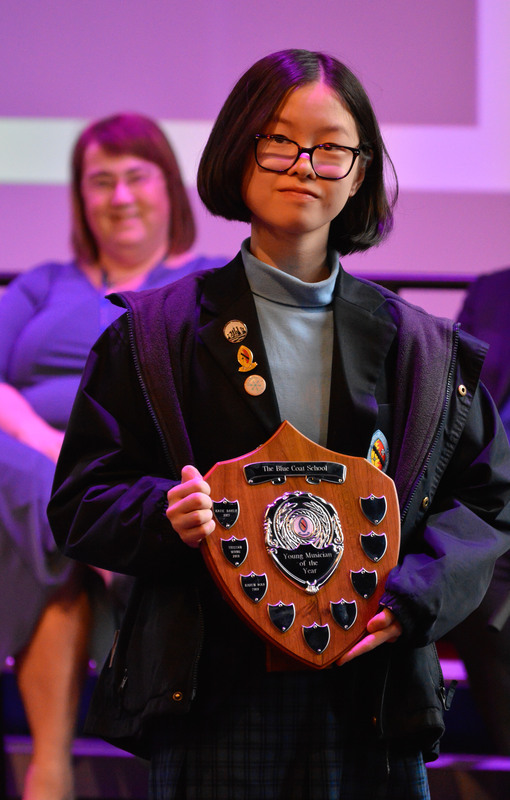 Karen Mao, our winner, treated us to a repeat performance of her winning piece on the piano. 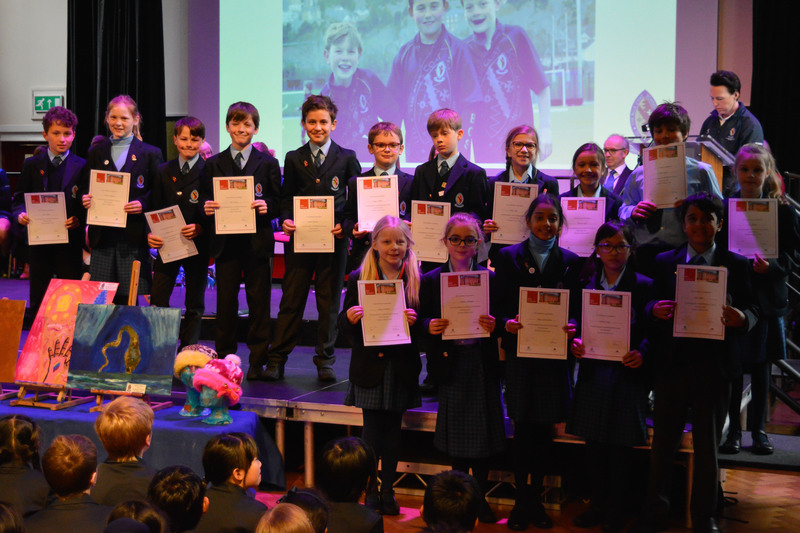 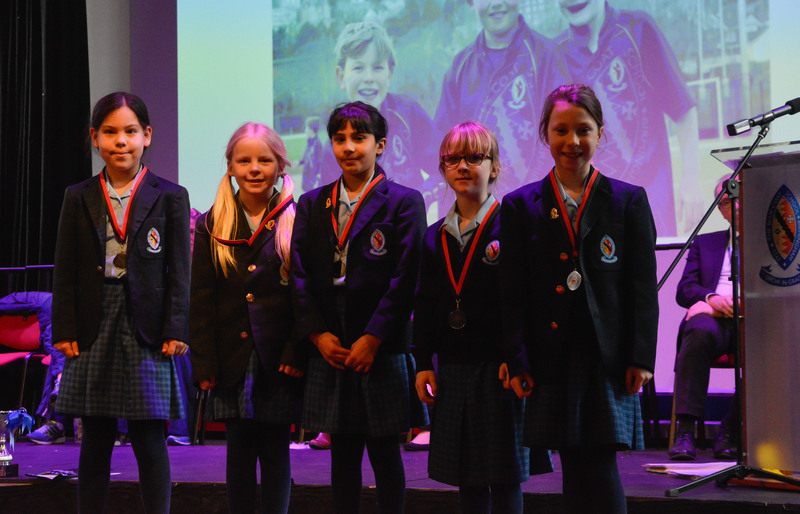 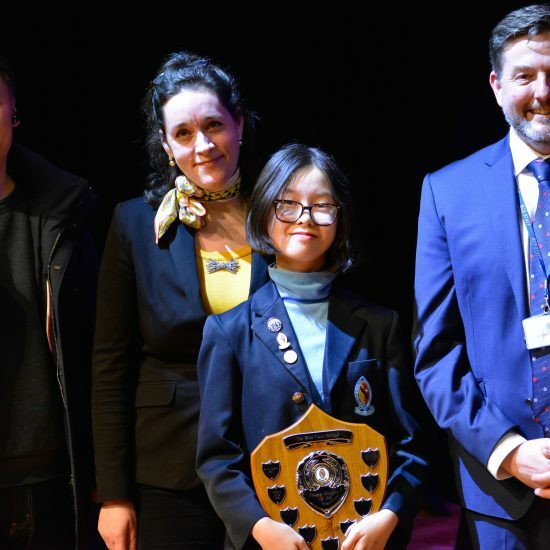 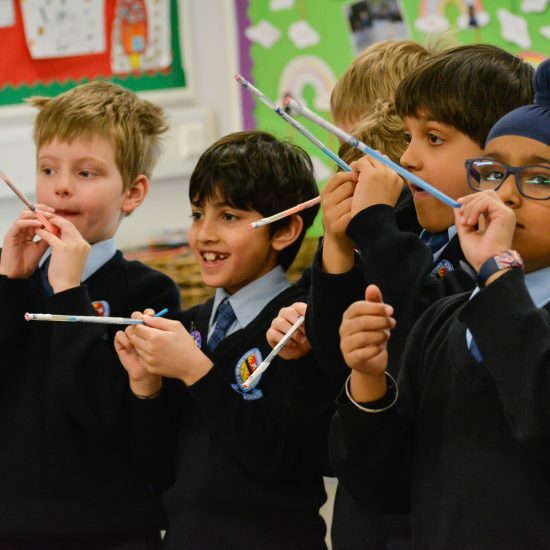 The children have worked tirelessly, preparing for the ABRSM examinations and performing in recitals and prelude concerts over the last few months – well done! 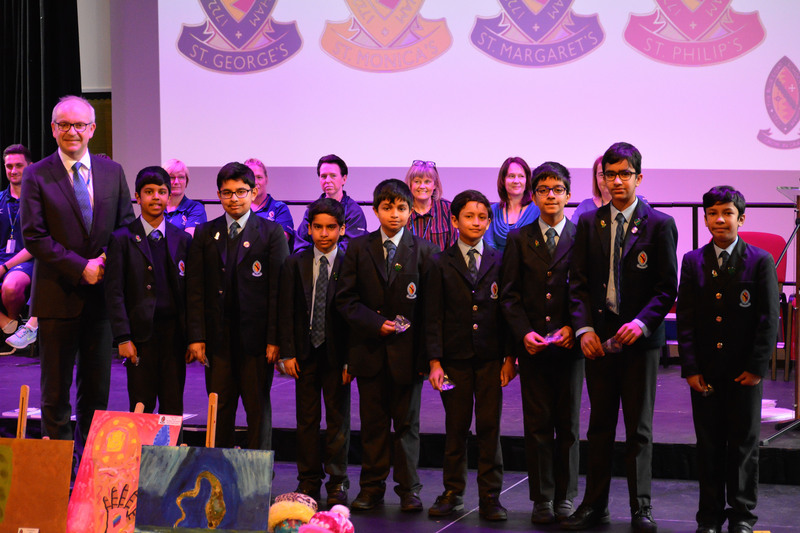 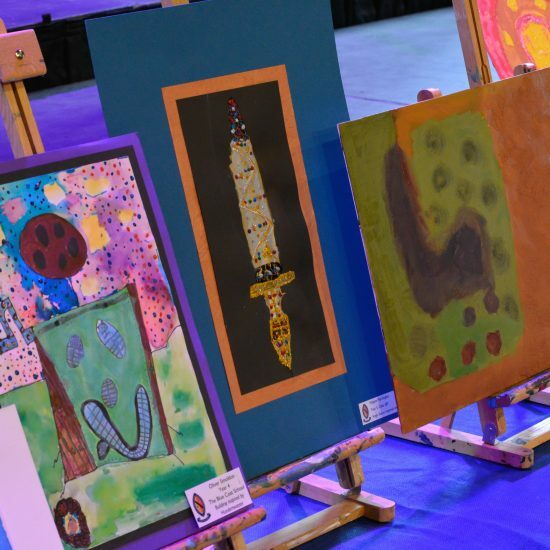 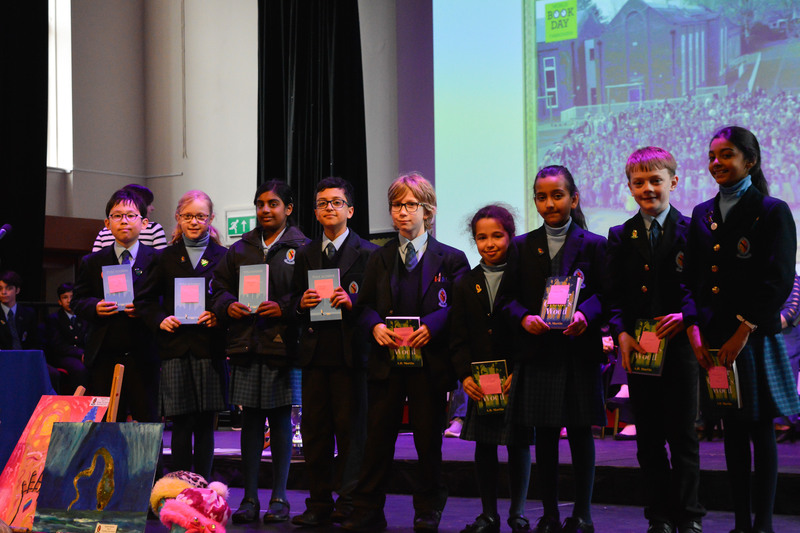 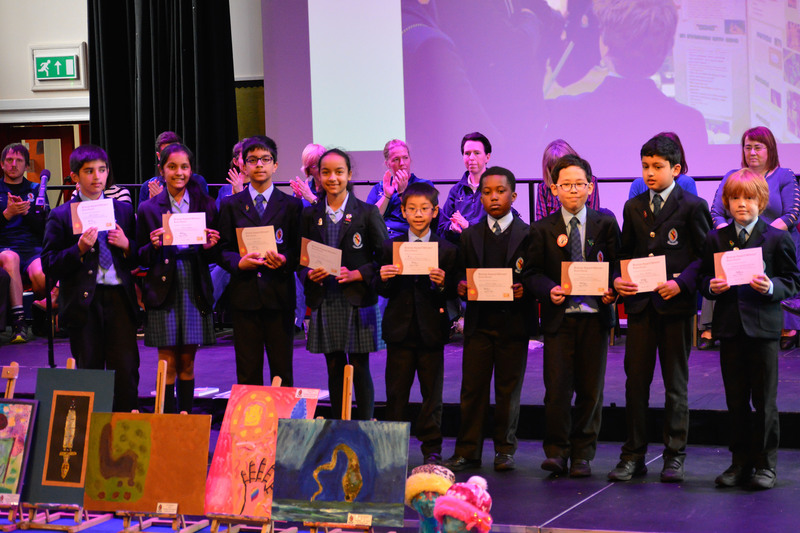 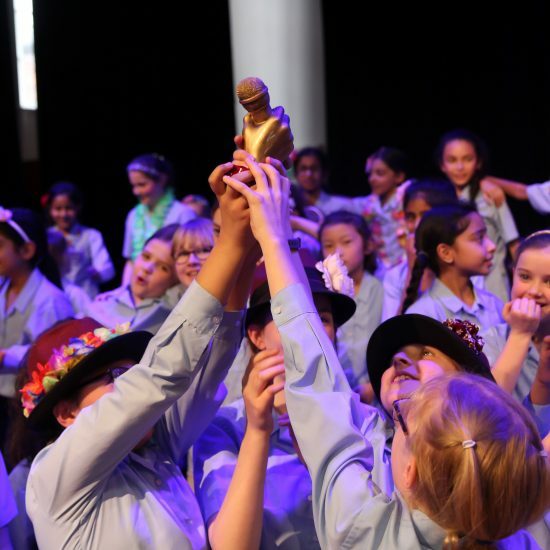 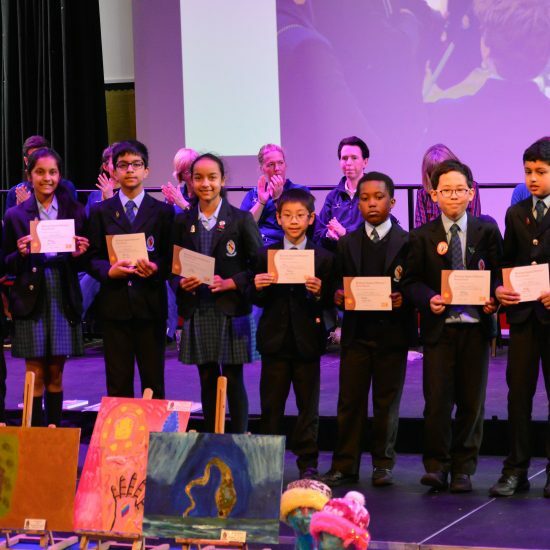 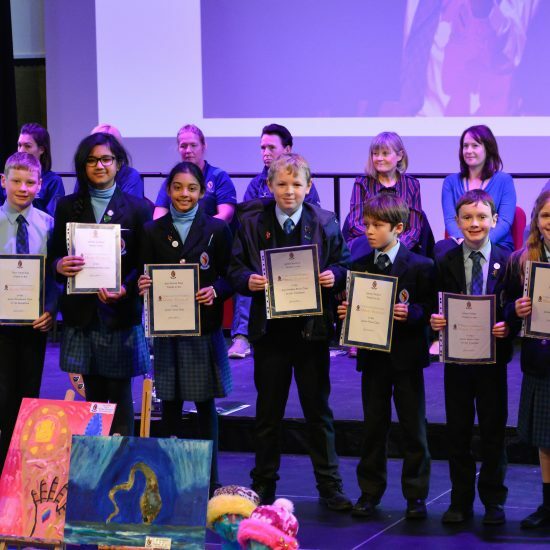 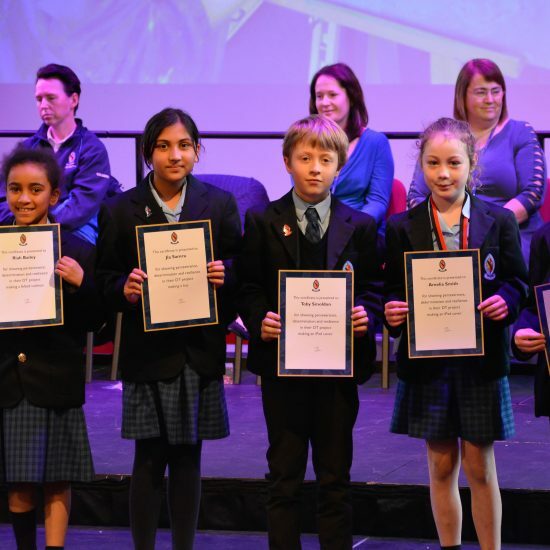 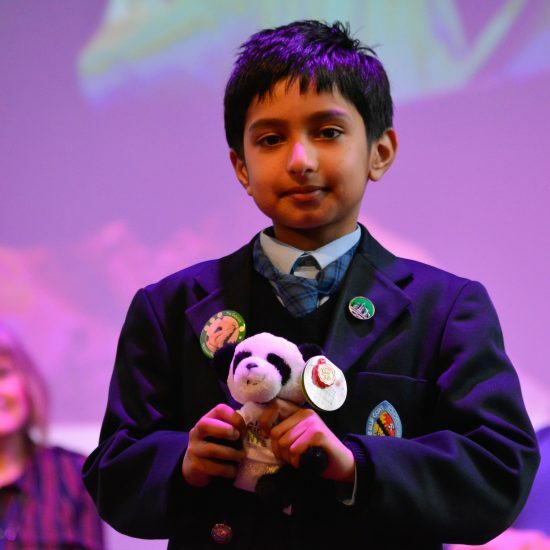 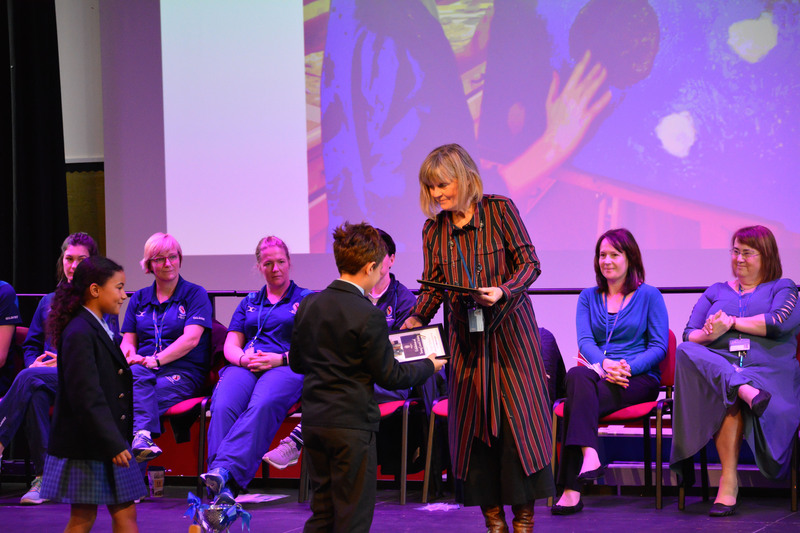 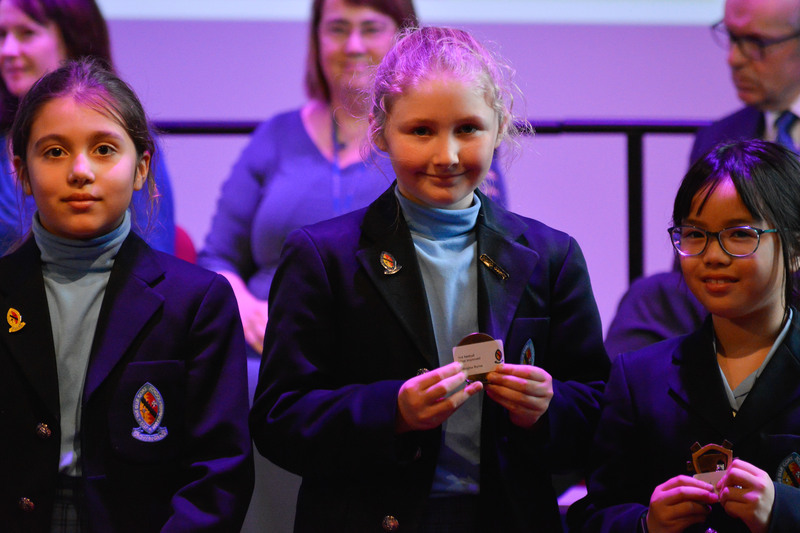 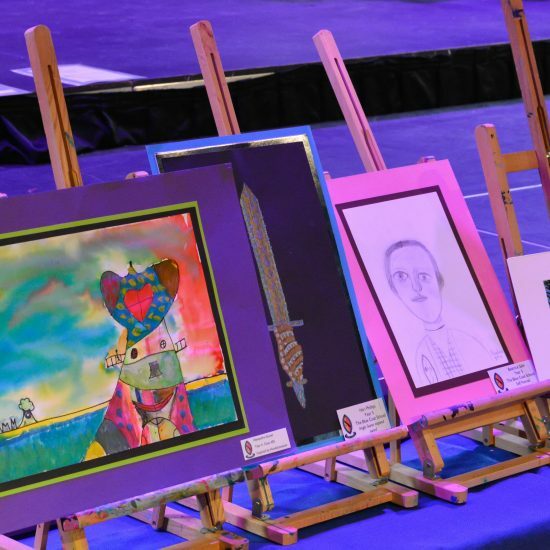 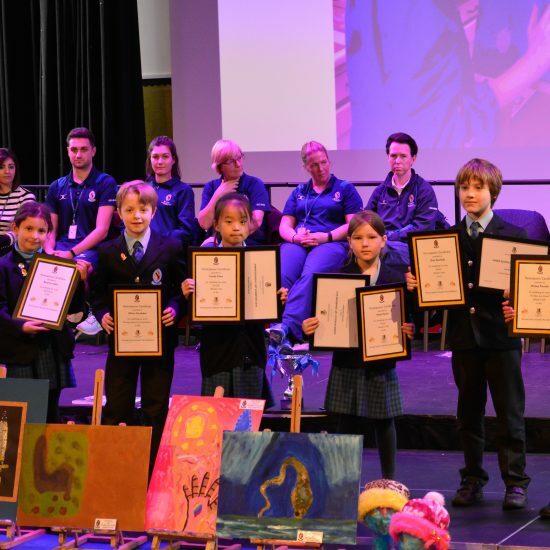 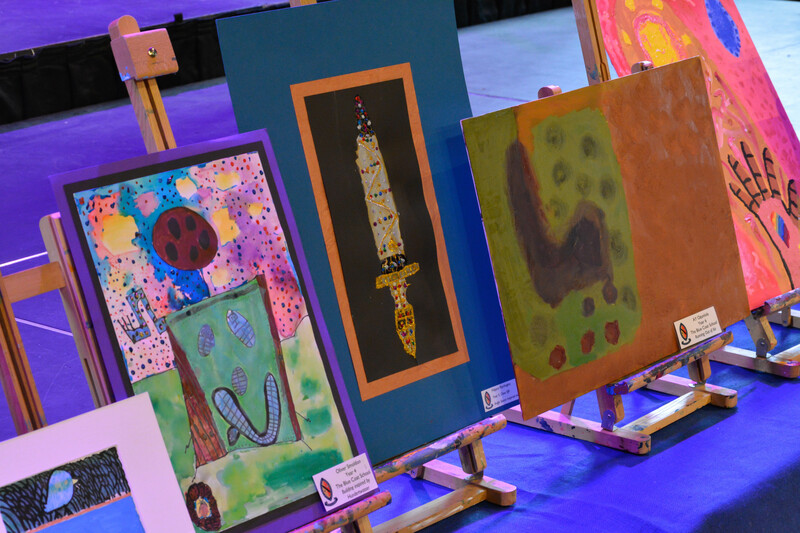 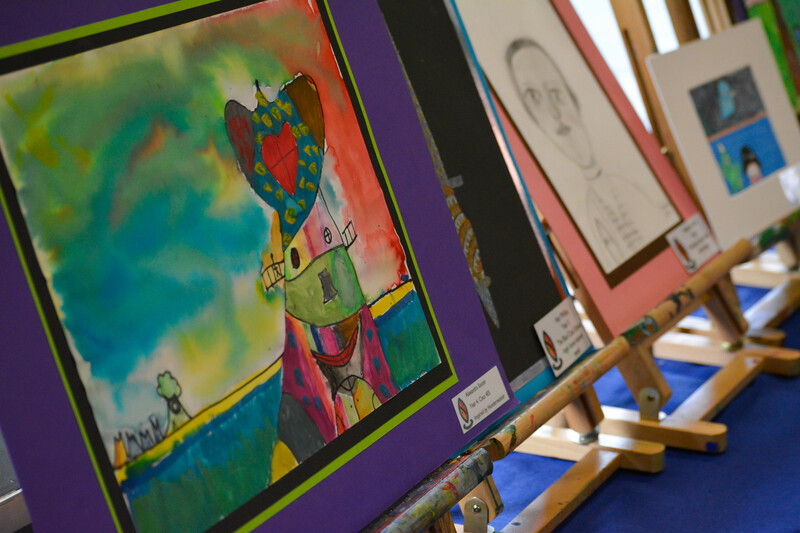 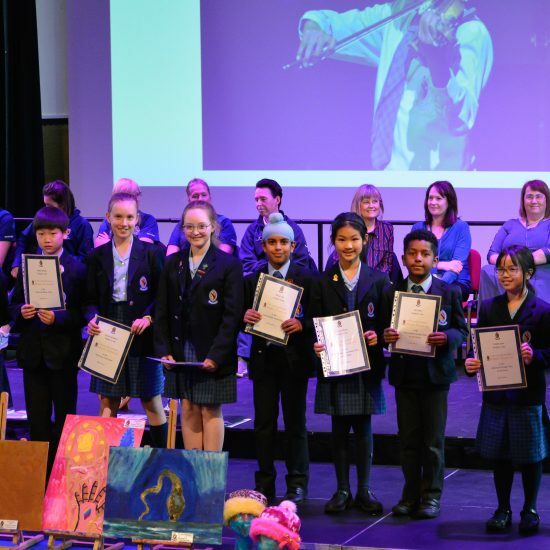 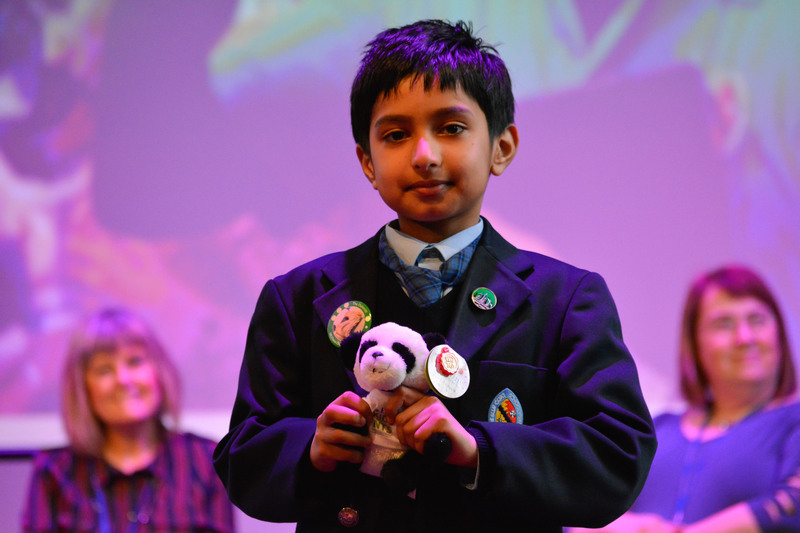 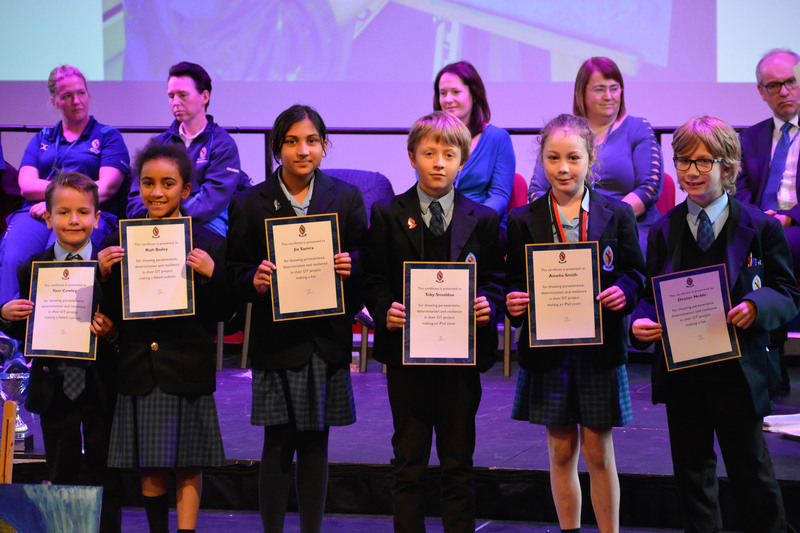 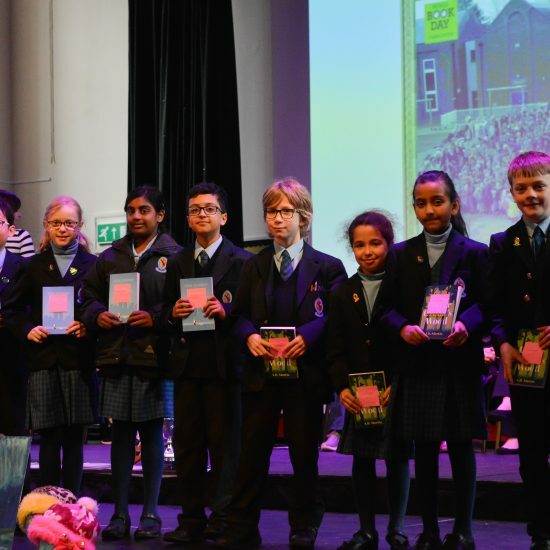 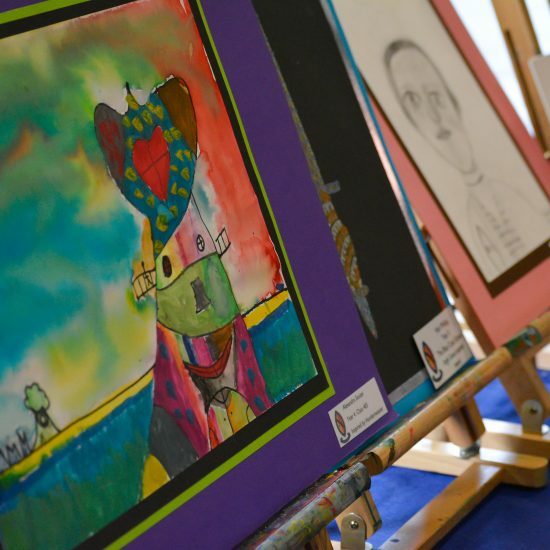 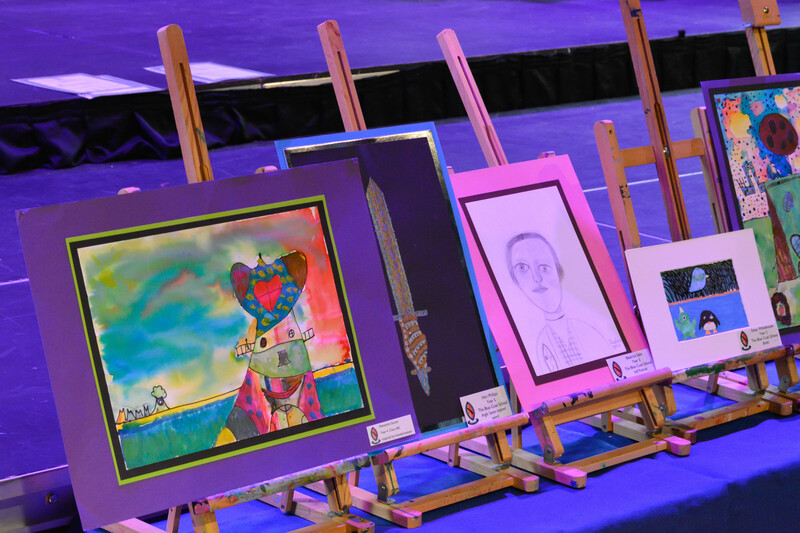 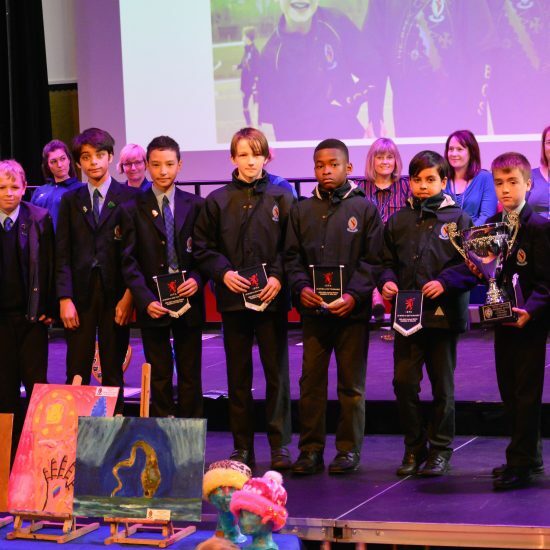 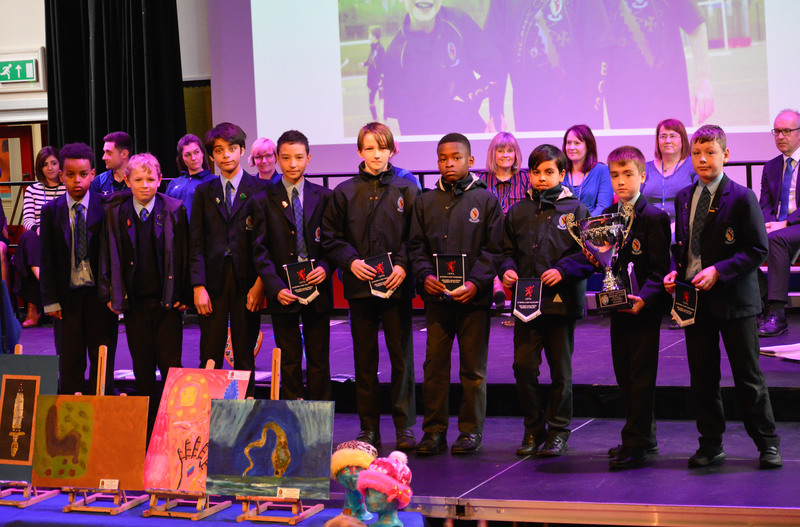 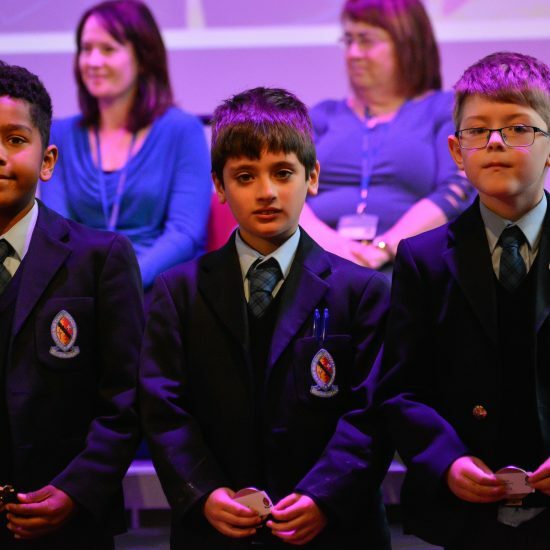 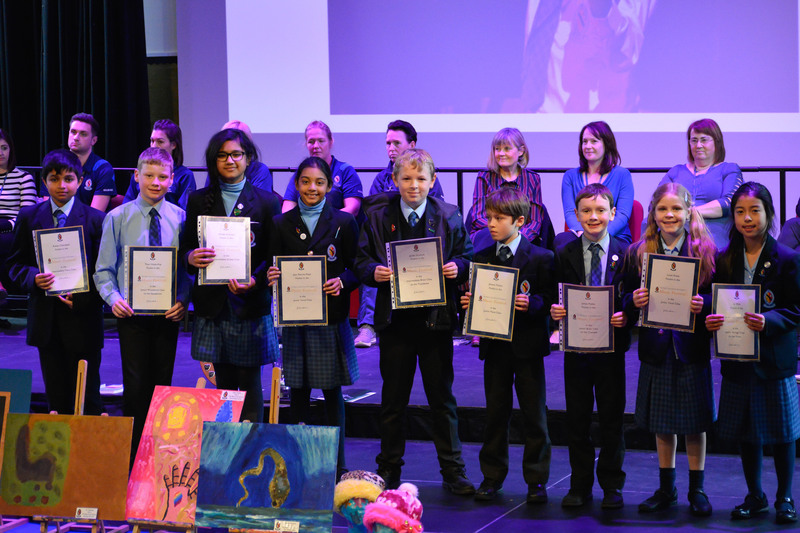 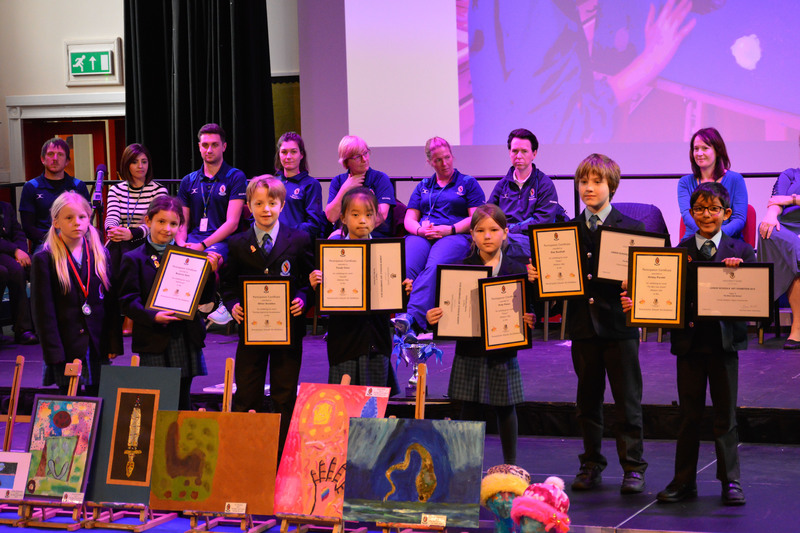 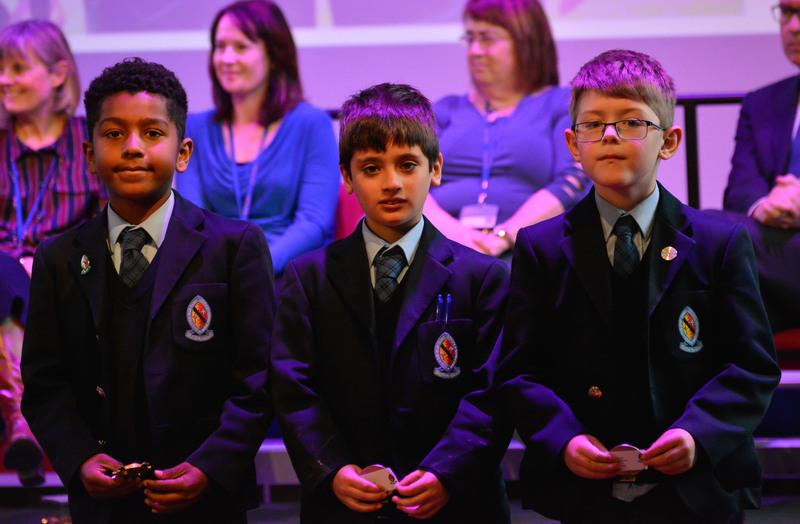 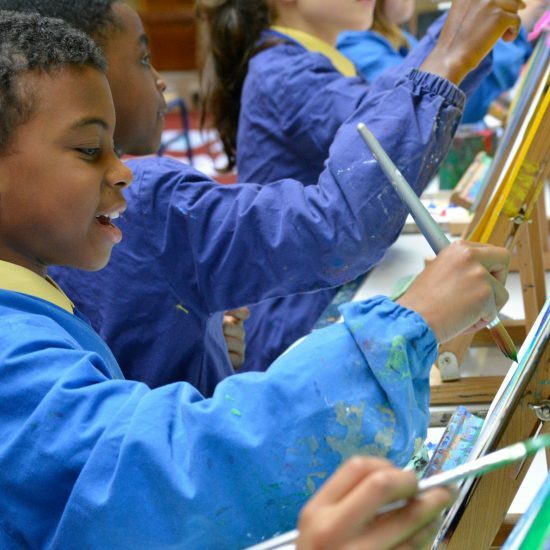 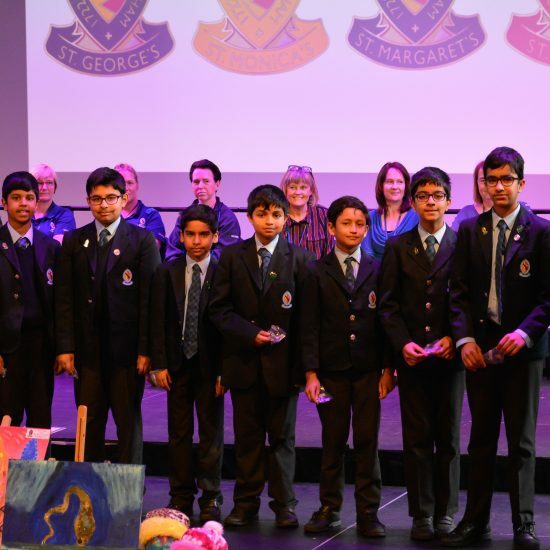 Creative Arts awards were presented to children who have submitted work for local schools’ exhibitions. 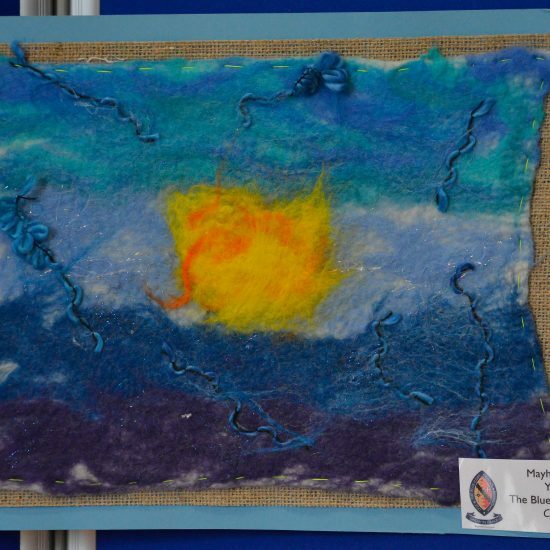 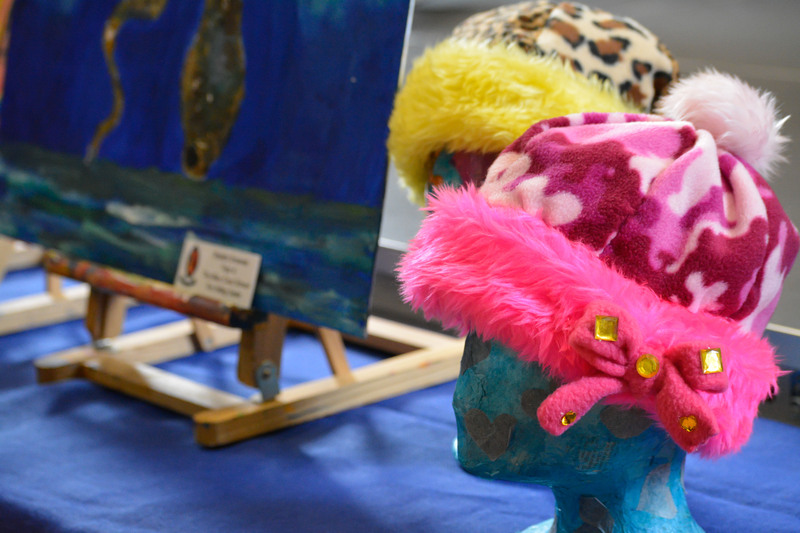 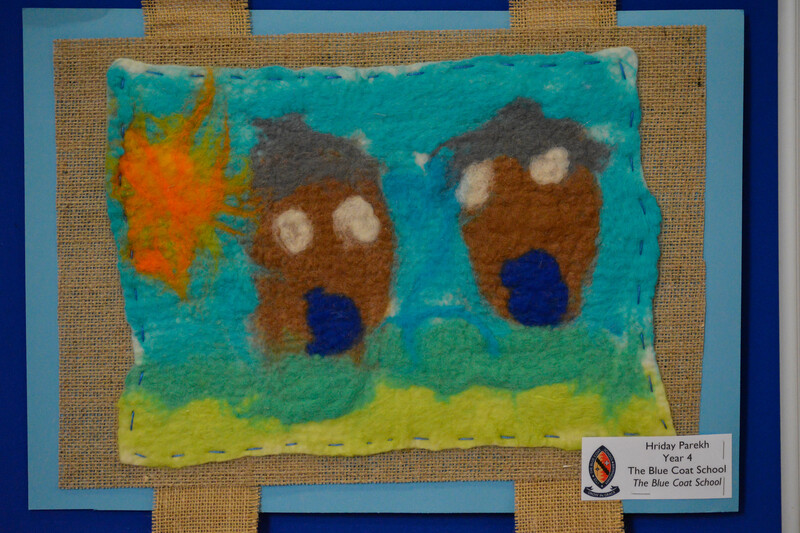 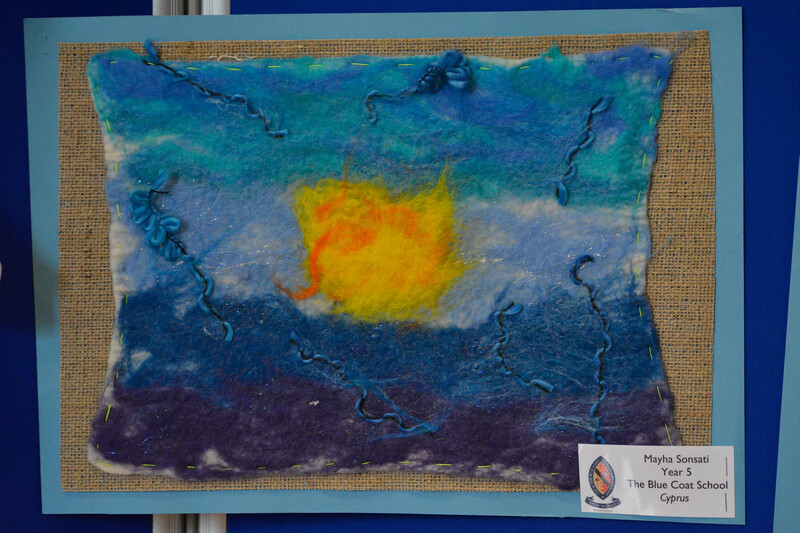 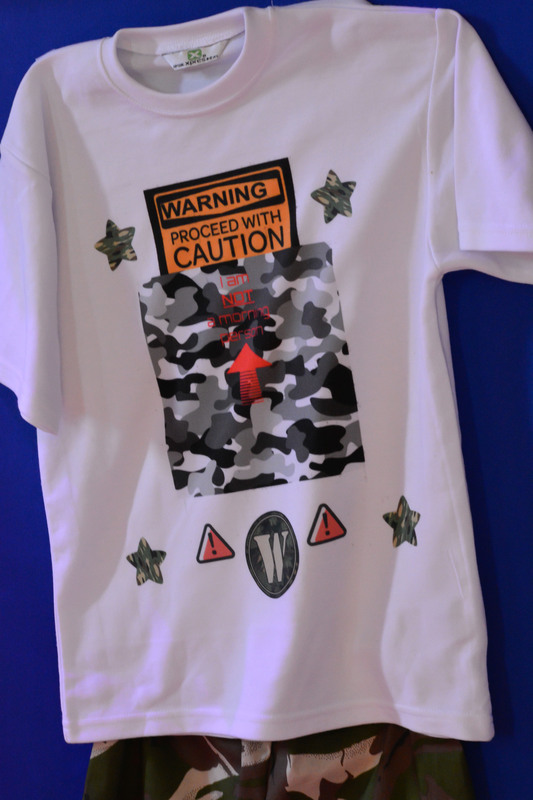 Some of their work was on display in front of the stage showcasing some exceptional art and textile work. 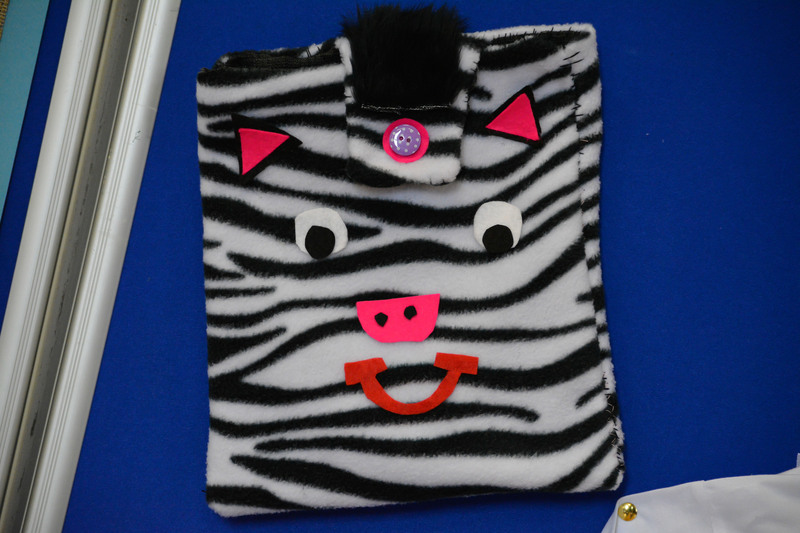 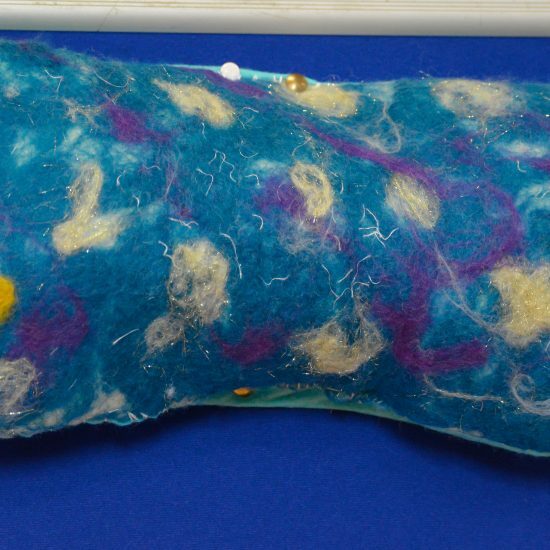 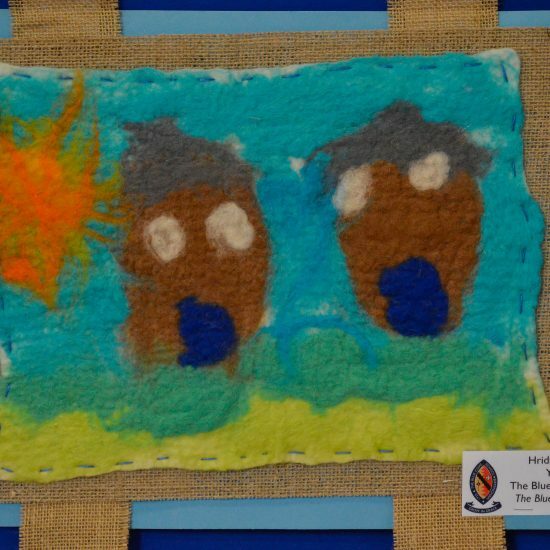 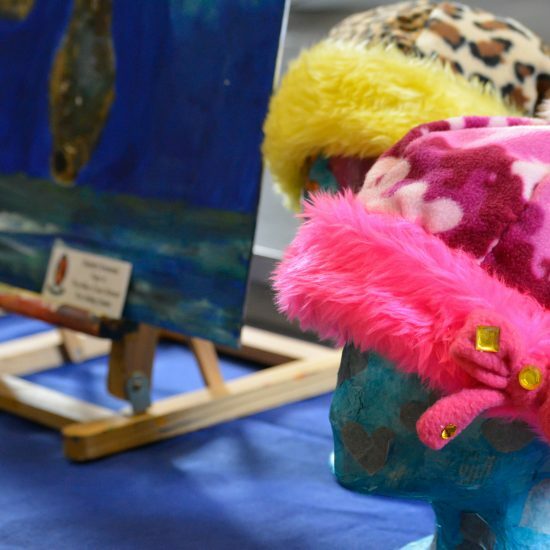 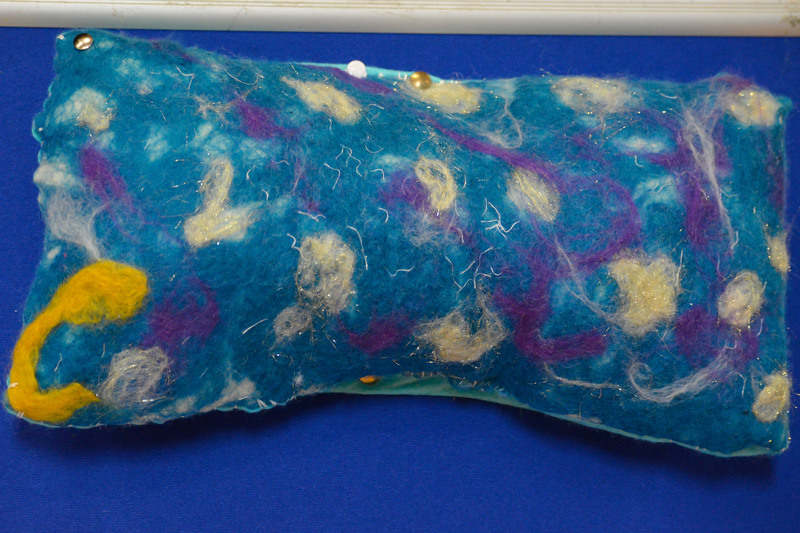 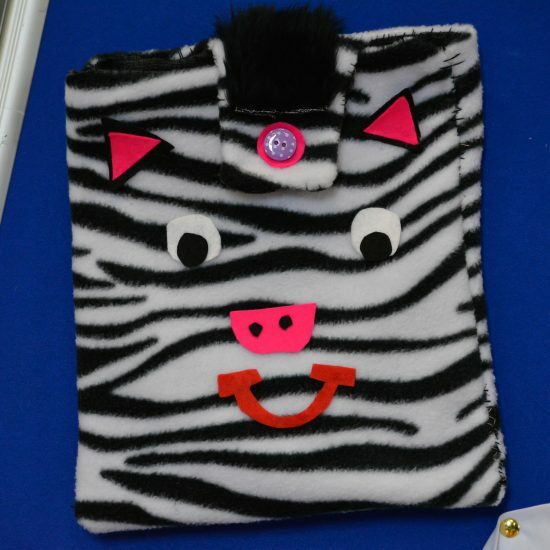 Working with Miss Patel, the Creative Arts Department have hosted a day for visiting teachers as well as an outreach workshop this term, and Pre-Prep too had chance to try felting and clay work at their ‘Wow’ Day. 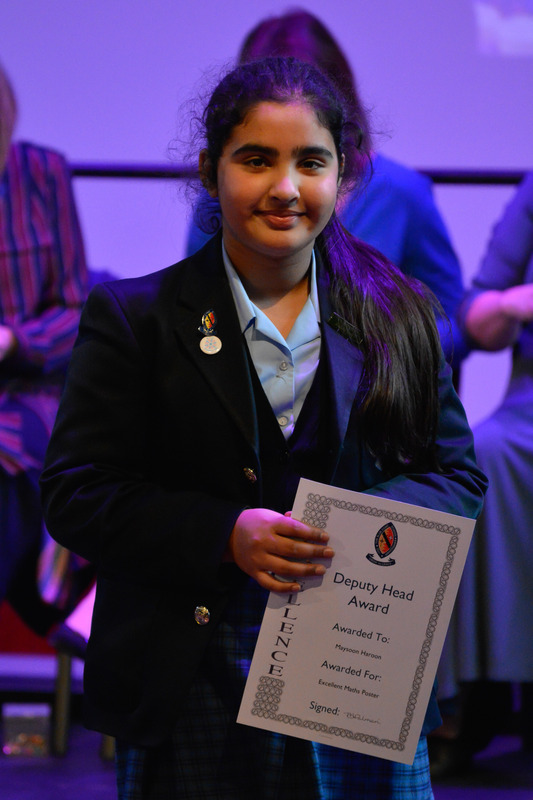 We congratulated Maysoon for her Maths work on Factors which was chosen for the Headmaster’s Academic Book of Excellence. 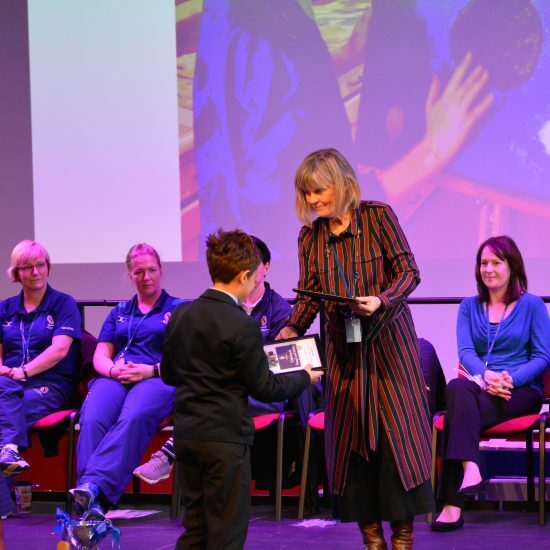 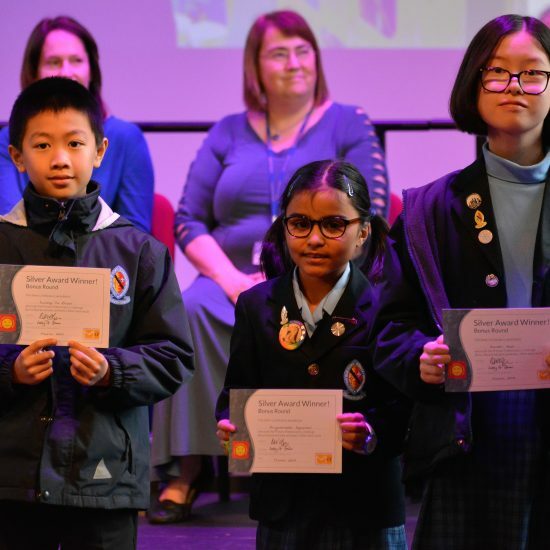 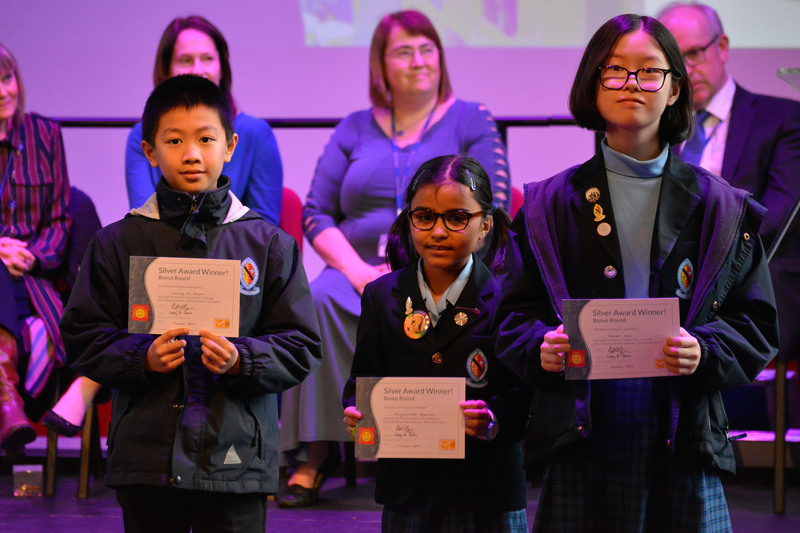 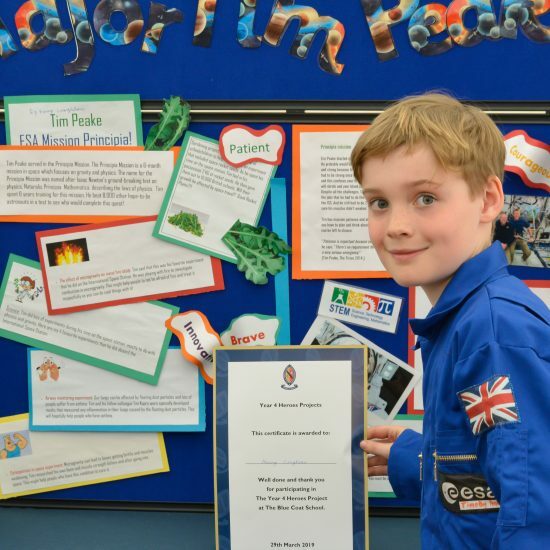 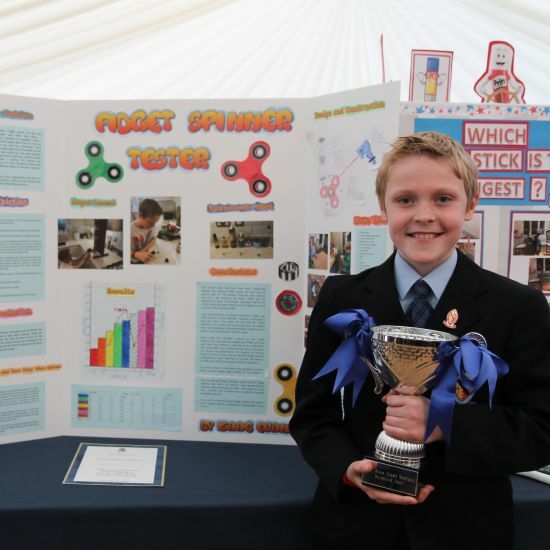 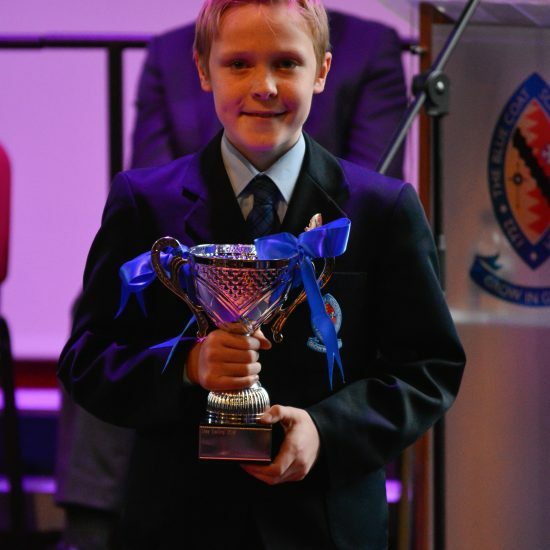 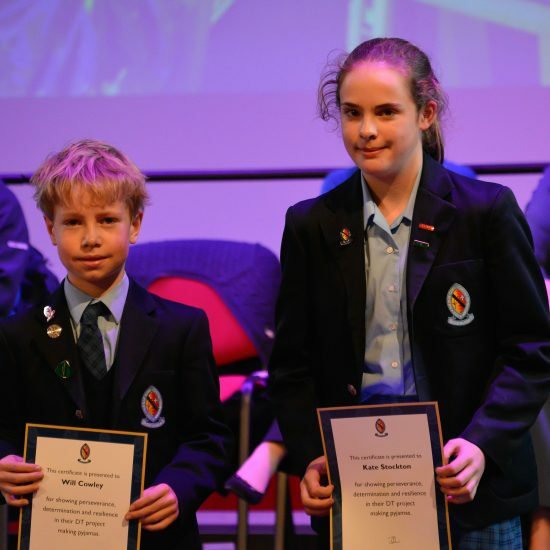 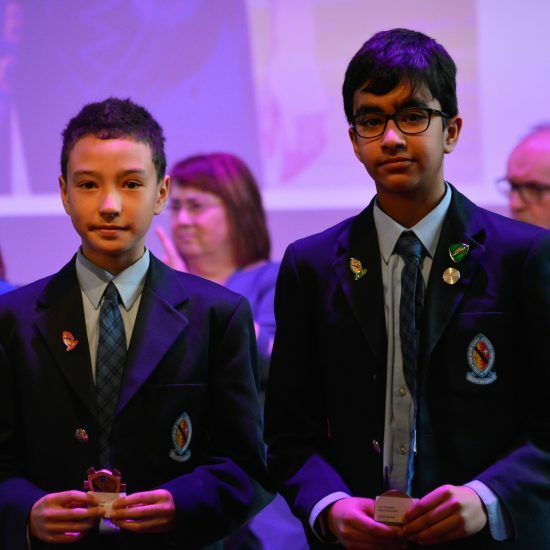 Certificates were presented to our Primary Schools Maths Challenge participants and Isaac was re-presented with the Science Fair trophy in recognition of his project on Fidget Spinners. 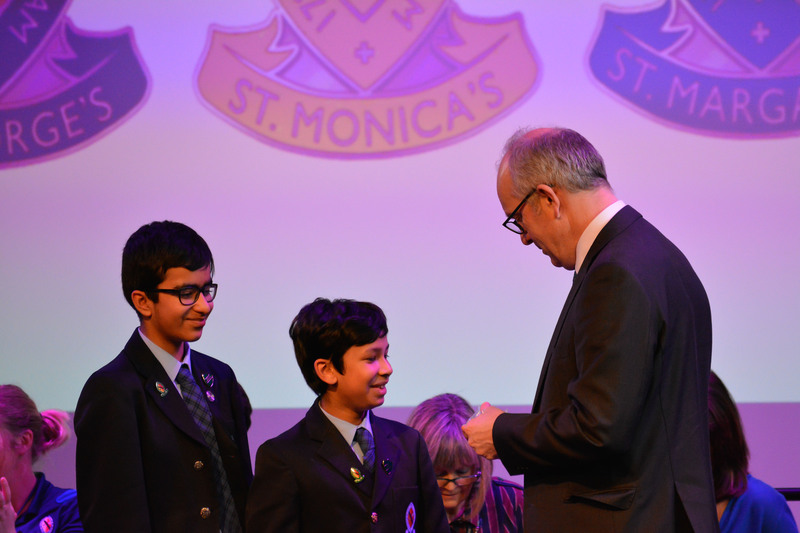 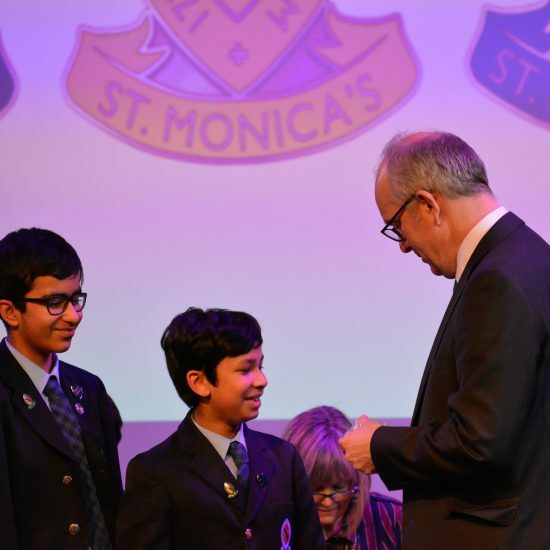 It was then time to present badges to the new House Officers for the Trinity Term. 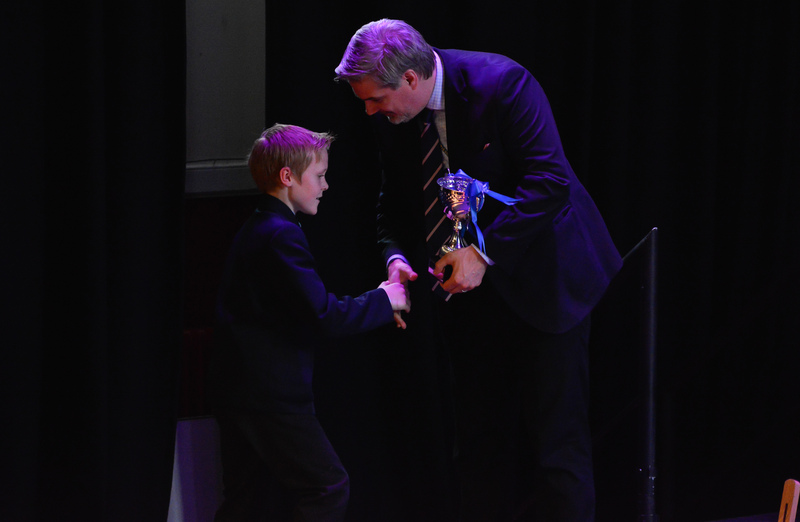 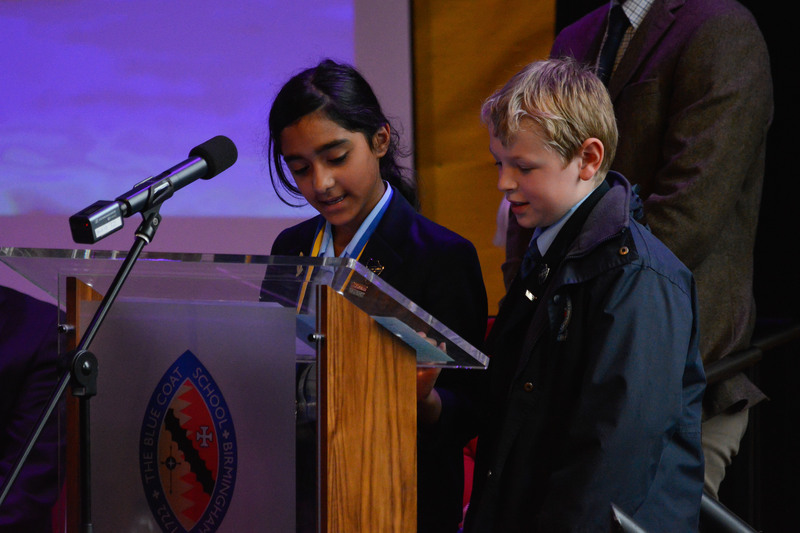 In concluding, Mr Newman congratulated all of the children on endeavouring to uphold the Blue Coat School Values. 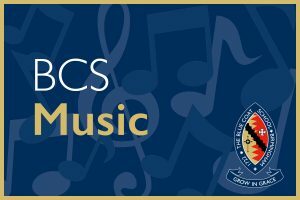 Many will by now have received a BCS Values Sticker in their planner for showing these values. 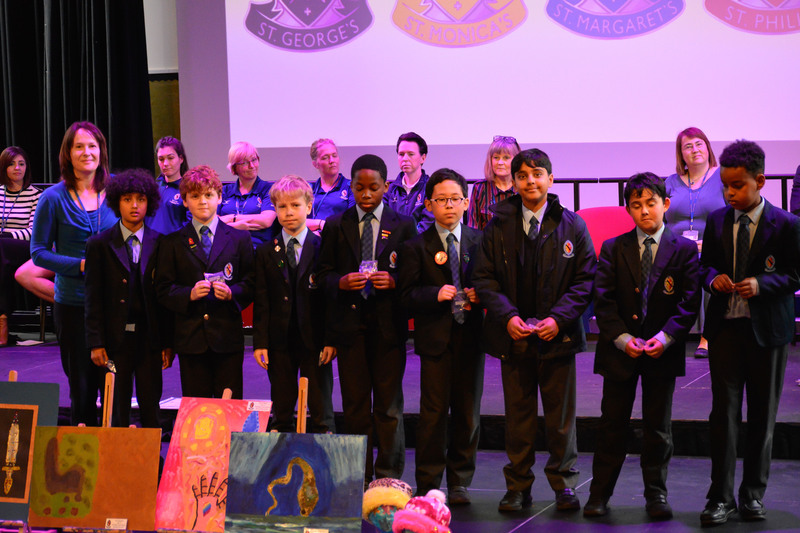 We were reminded by 3SW in their rendition of My Lighthouse, how God is an unshifting light in our lives and can help us to make the right choices. 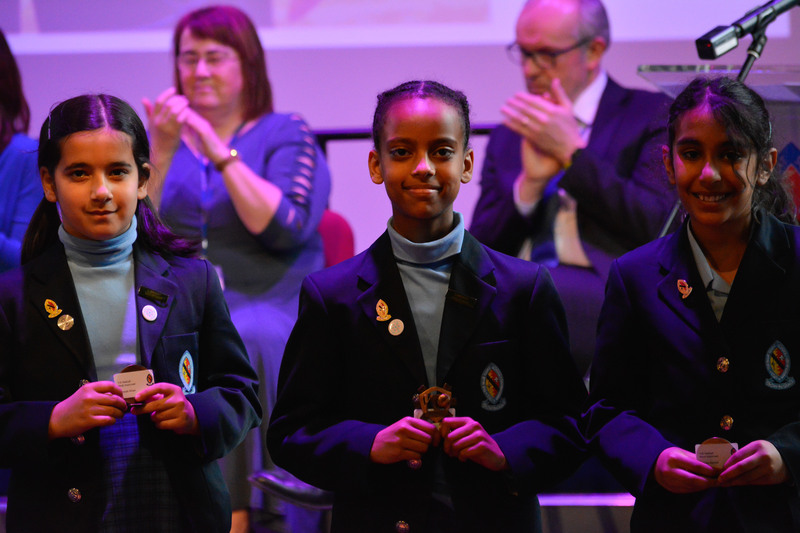 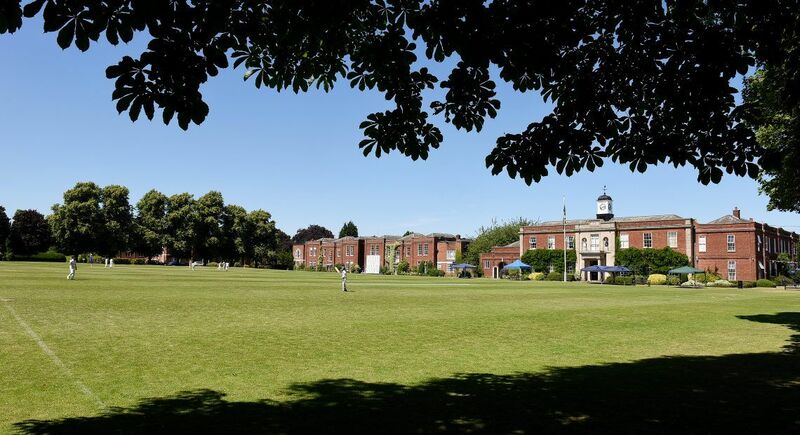 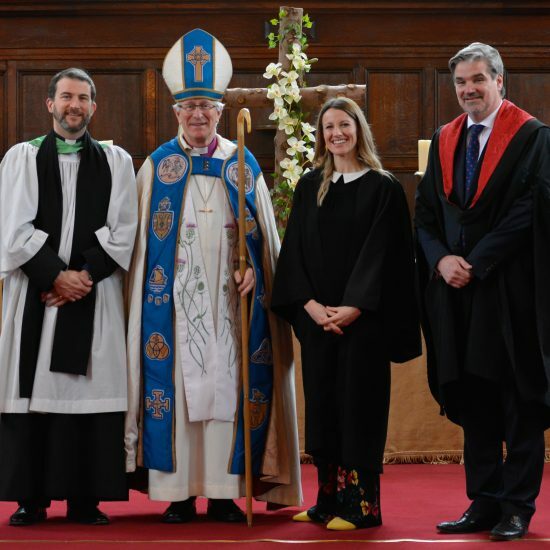 Congratulations to all on a most successful term, we wish you a Happy Easter and look forward to a productive Trinity Term.